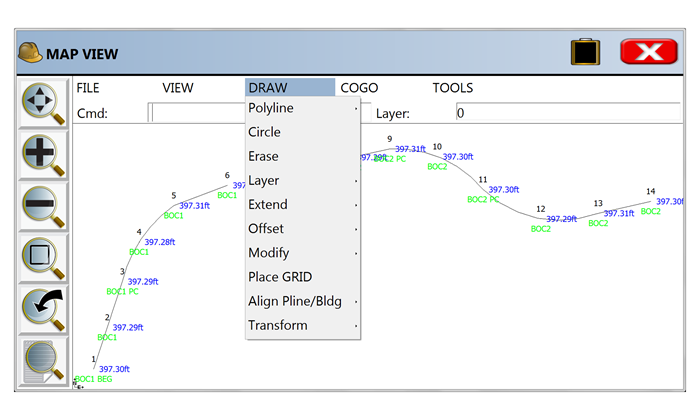 2d and 3d polyline editing commands to reverse polylines, add/remove segments or vertices, etc. 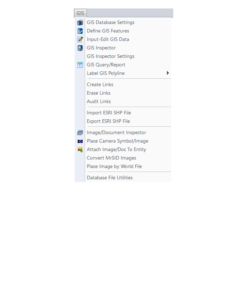 Import a variety of image files including MrSid and geo-referenced TIF and JPG files. 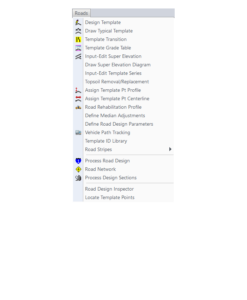 Carlson Construction includes powerful Carlson software tools for designing and modeling different aspects of road design, from new construction to road widening and repaving. 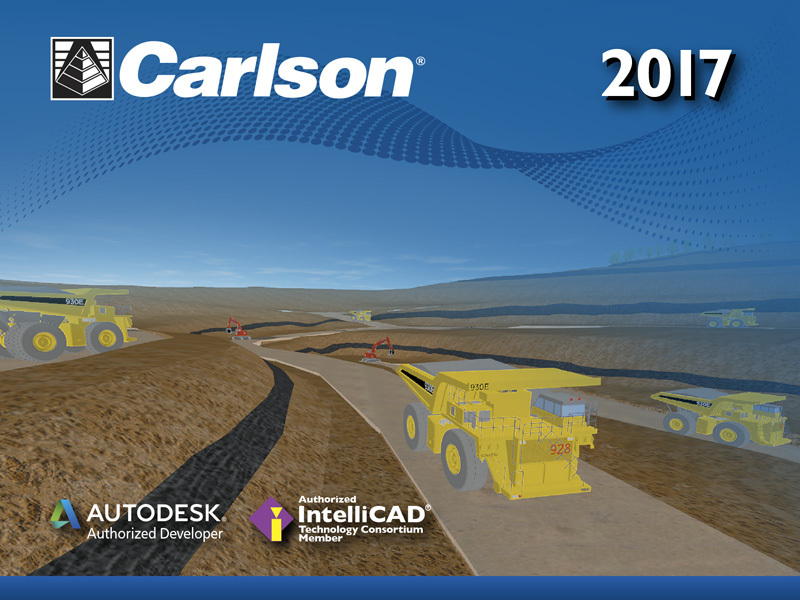 Fully supporting all of the major 3D Machine Control formats for today’s heavy equipment with 3D Machine Control Systems, Carlson Construction gives you the tools you need for taking your data into the 3D environment. 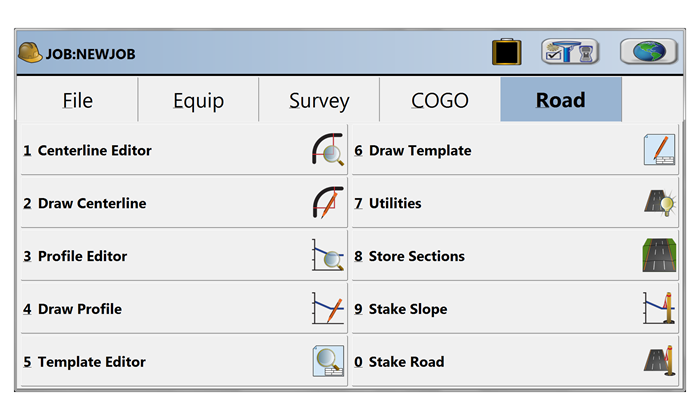 Whether your Carlson software need is “Data Preparation,” “Site Preparation,” or specifically creating Machine Control Guidance Models, Carlson Construction will get the job done for you. 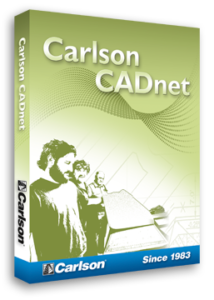 Carlson CADnet, introduced in 2014, allows users to import faster images and PDF files and, if needed, even to merge multiple images into one file that can be digitized or otherwise converted by CAD software using a variety of raster-to-vector routines. 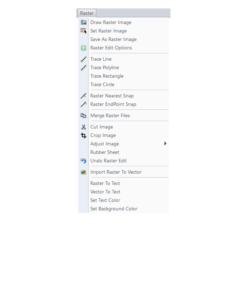 CADNet also gives you many tools to help clean up text and linework generated from raster images. 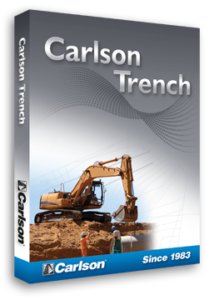 Carlson Trench is for calculations related to installing pipes, sewers, or utility lines. 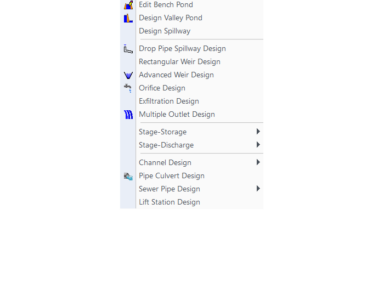 The CAD software calculates the volume of the trench cut, the volume of backfill (excluding the pipe size), and the linear footage of pipe broken down by the pipe material, size, and/or depth. 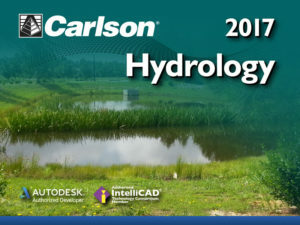 Carlson Trench is fully integrated with Carlson Civil and Carlson Construction, and also Carlson Hydrology to meet the variety of customers’ needs. 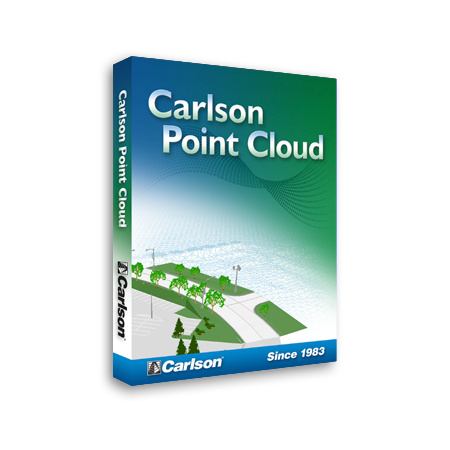 With the release of their 2019 products, Carlson now offers Basic and Advanced versions of their Point Cloud program. 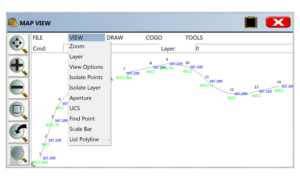 Register your scan to local coordinates, filter or decimate the points, overlay raster images in 3D, snap to edges and code the descriptions for automated field-to finish processing of linework and symbols and create contours, profiles, sections, and breaklines. 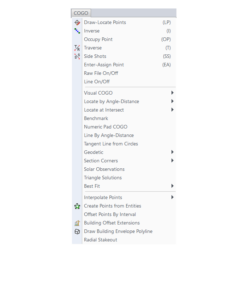 You will be able to read scan data from many instruments, view and process up to 1 billion points, and then perform the Field-to-Finish from the scanned data! 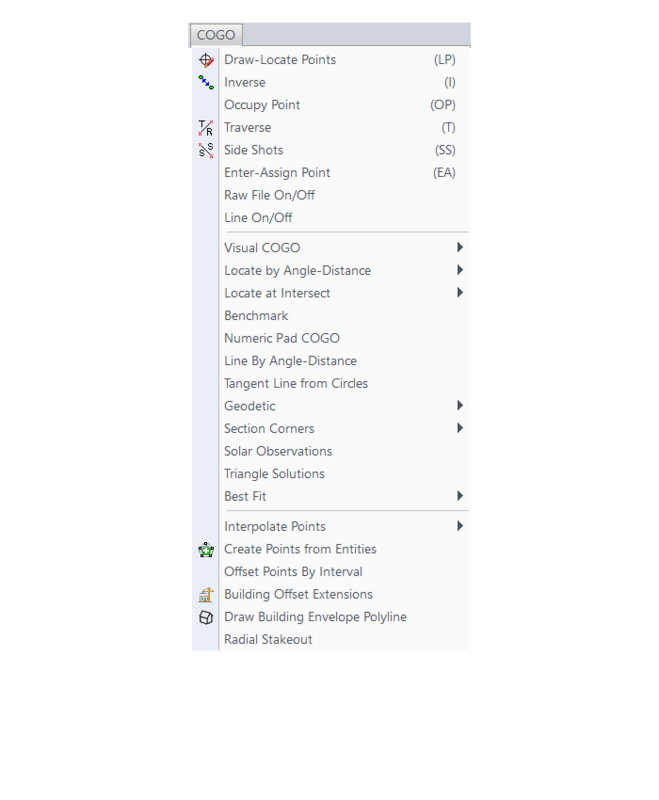 This Carlson Software office product allows users to export surface models, points, contours, breaklines, grid and profiles to CAD. 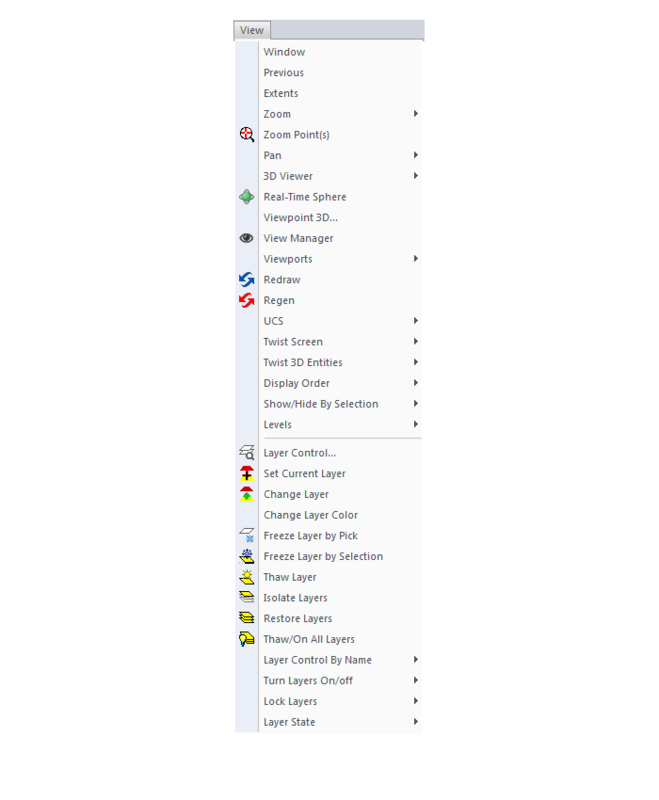 Get the software that supports a wide variety of equipment, old or new. 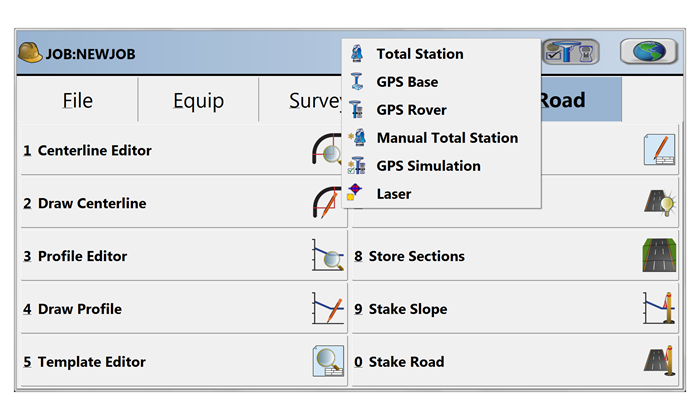 SurvCE and its full-windows companion SurvPC can be configured with various combinations of 4 modules: Total Station (Basic), Robotics (requires Basic), Carlson GPS and Advanced Roading (Requires Basic or other Carlson GPS). 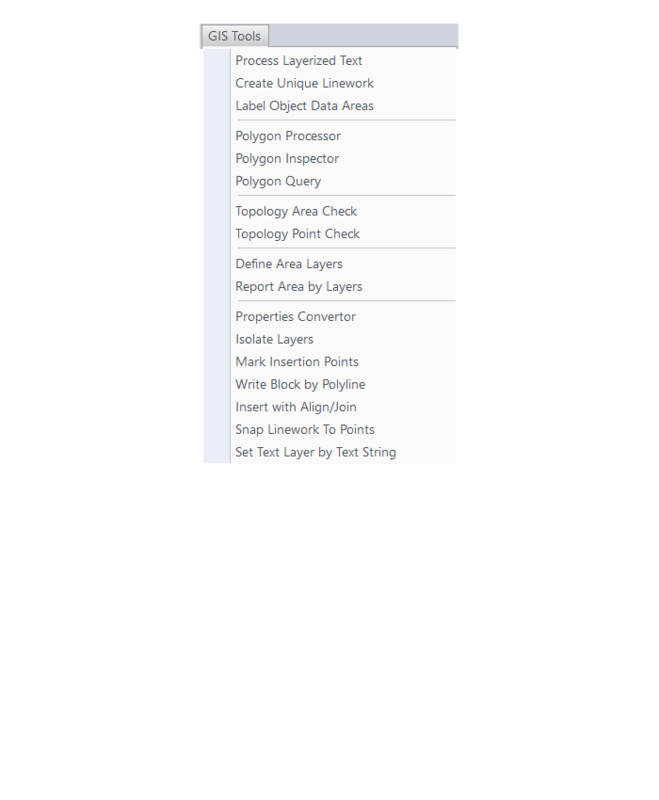 Shortly after each new release of the program, we will update this FAQ to show the updated list of features in the new release. 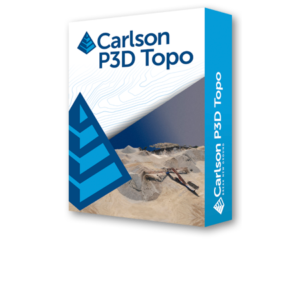 With Carlson Software’s Precision 3D Topo… True 3D Topo Editing in a 3D Environment is Here! 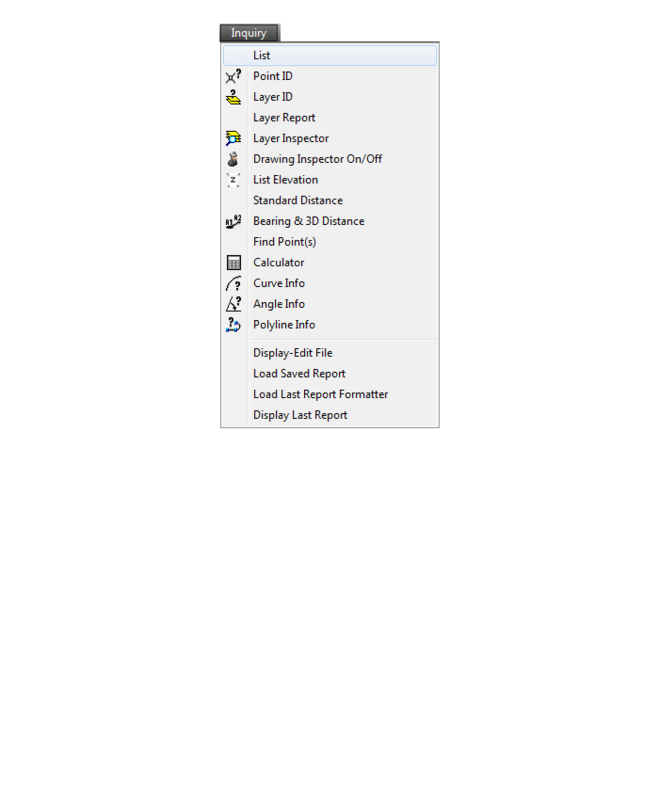 Load and review the two most common formats for surfaces: LandXML and DXF files of 3D Faces, in addition to TIN and Grd files from Carlson Software. 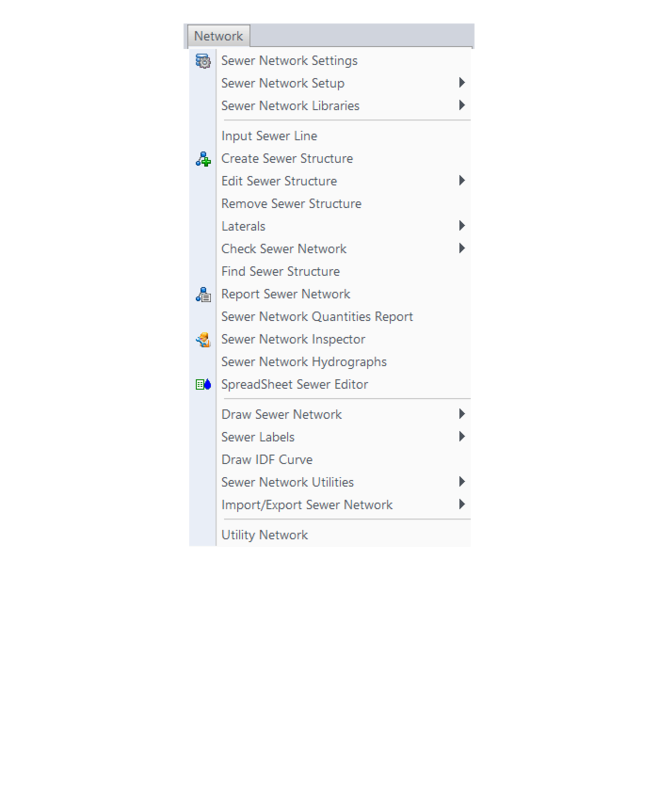 Overlay other LandXML file types such as points, alignments, parcels, storm and sanitary sewers, culvert pipes and other piping systems. View the 3D Surface with user-controlled textures to quickly spot errors in the DTM. Fix the errors in the DTM for re-saving and use in CAD programs, or for direct output for machine control and survey stakeout. 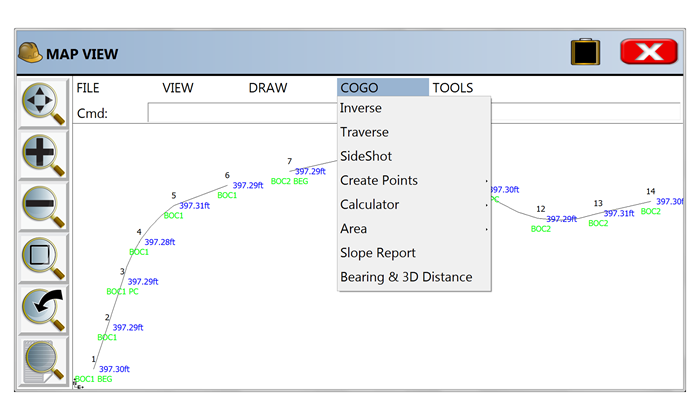 Never before has there been such an array of tools to locate and correct DTM errors, all in a sharp 3D interface. Surveyors, contractors and engineers alike can use the software to make sure the final DTM surface is of the highest quality. 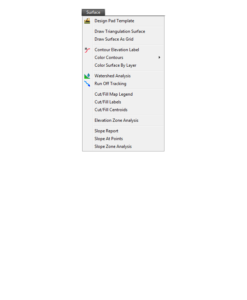 Editing tools include surface blending, spike and dimple removal, DTM vertex editing and surface pad placement by defined polygon and outslope conditions. 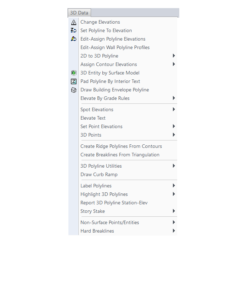 Multiple undoes and redoes allow you to study your changes and makes things perfect. 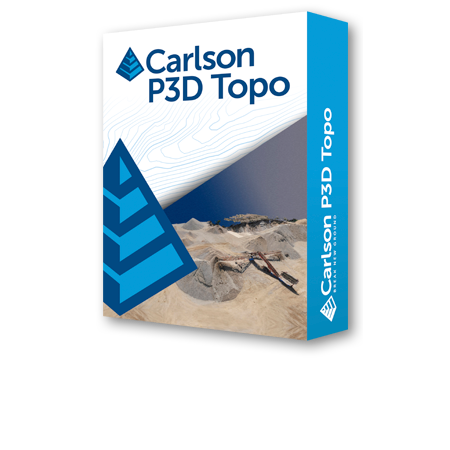 Carlson has Free Technical Support regardless of whether your software is 1 year or 10 years old or even if you’re still trying it out before buying. 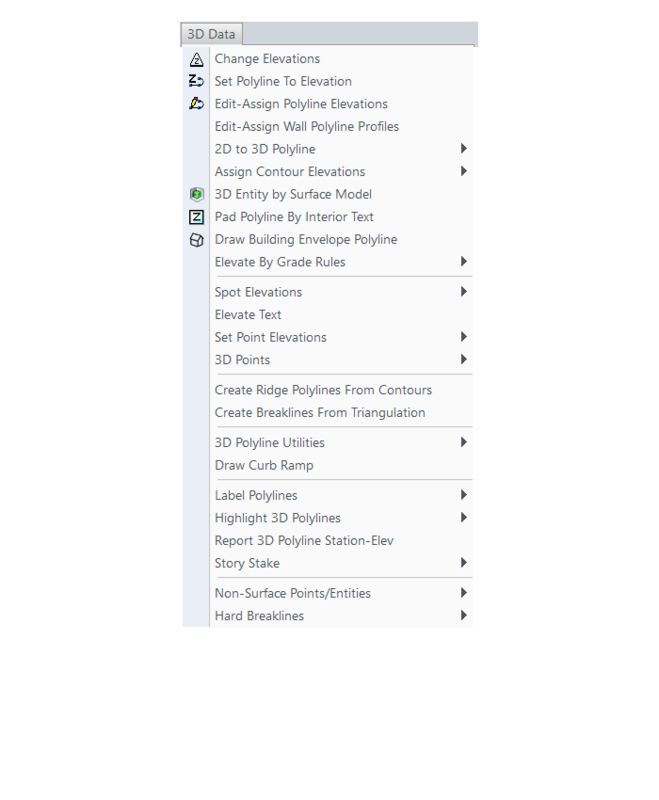 Carlson gives you the ability to design dynamically but does it with basic CAD entities such as lines, polylines, text and blocks which makes it easy to share drawings with others. No more proxy entities or AECC Objects to fight with! Carlson doesn’t retire their products and never forces you to upgrade. Their annual maintenance is optional. 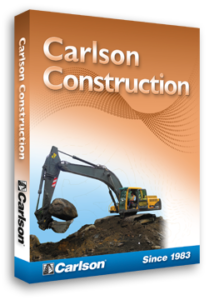 Carlson Plays Well With Others: Their goal is to have their software be compatible with as many other software and hardware manufacturers as possible. 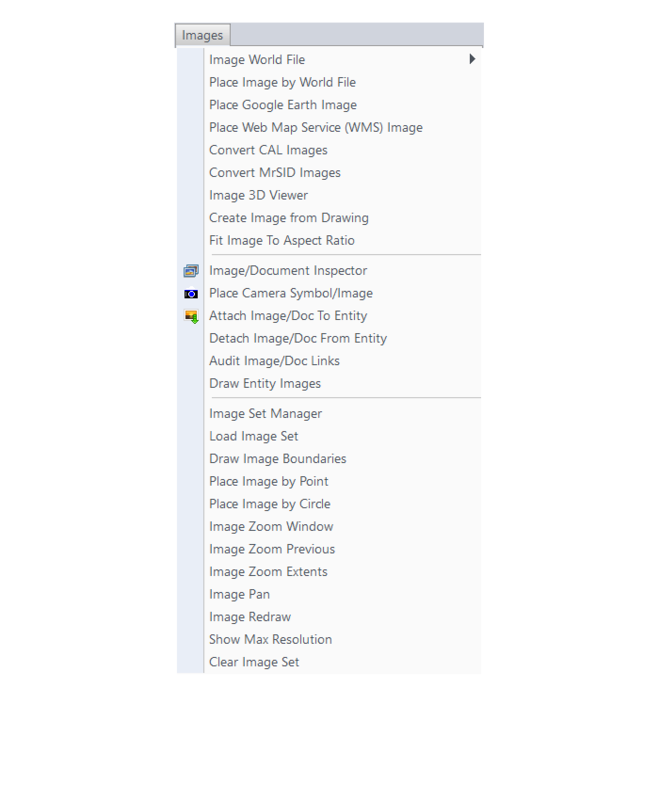 There is a seemingly endless list of “Import from…” and “Export to…” commands in the software. 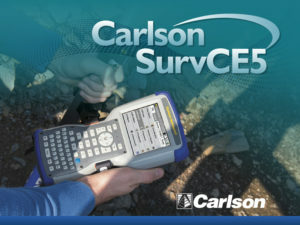 Carlson gives you the tools you need. 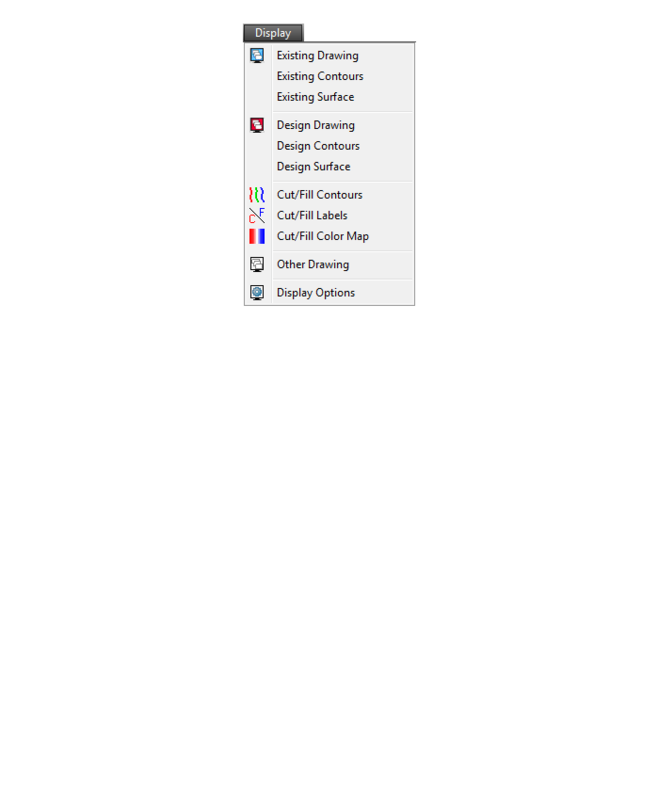 Does Carlson run on a Mac? I have several customers who run Carlson and CAD software for Mac using Windows emulation apps. The two that I am aware of are Parallels and Boot Camp. What are the system requirements to run Carlson Software in the office? Do I need a monster computer? Save your money! 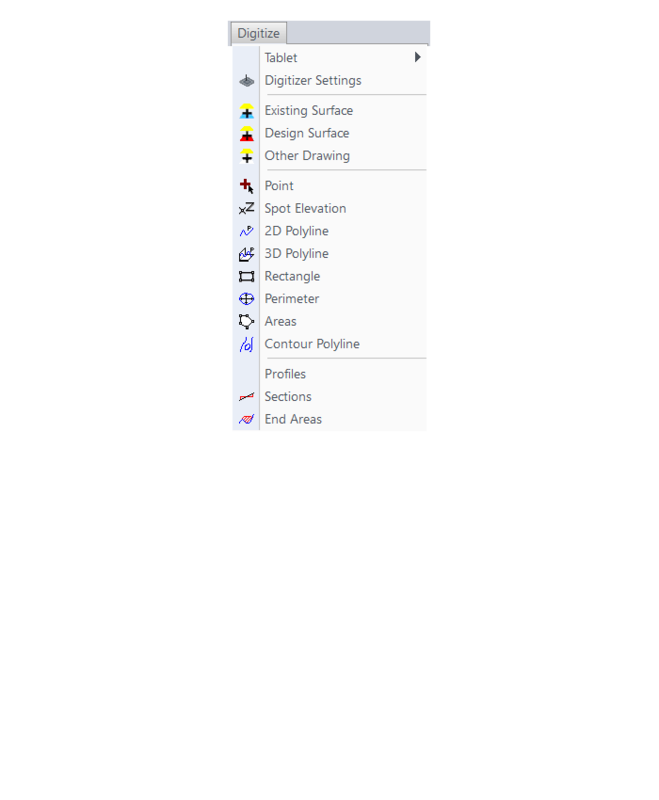 You only need a monster computer if you’re running it on top of an Autodesk product that requires a lot of horsepower. 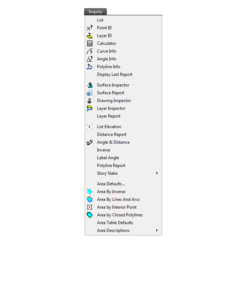 If you’re running Carlson on top of AutoCAD or one of their vertical applications like Civil 3d, then yes, you will want to make sure your computer is configured to meet Autodesk’s specifications. 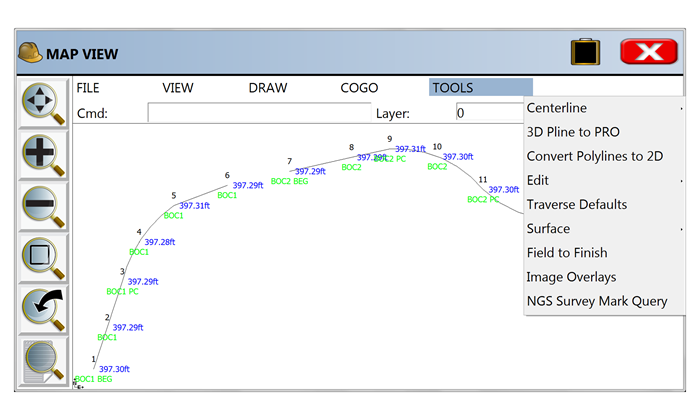 But, Carlson’s core product and IntelliCAD can run on pretty light-duty machines. 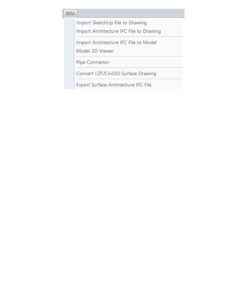 The minimum system requirements for running Carlson with embedded AutoCAD (OEM), on top of AutoCAD and with IntelliCAD are posted here. 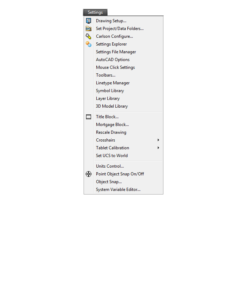 Note: If you are using an Nvidia video card, you will want to make sure you get the driver and updates directly from Nvidia.com and not just let Windows search for updates. I’m a contractor and need to do takeoffs and create machine control files. What software do I need? 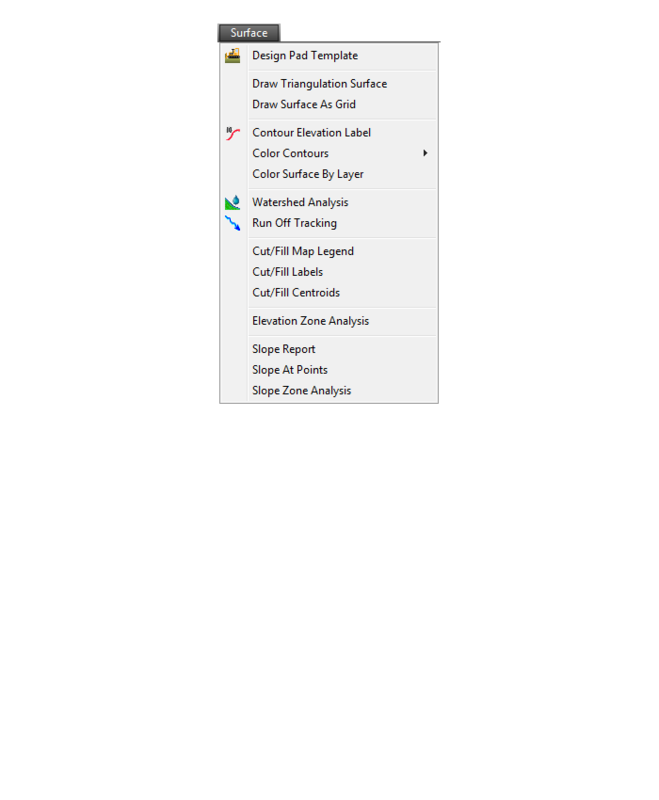 Probably some version of Takeoff – either Takeoff Suite which is modular and includes Construction, CADNet, Trench and GeoTech or the Takeoff with embedded AutoCAD (OEM). The good thing about the Takeoff Suite is that you can buy the whole thing or just the pieces and parts you need. Many contractors only need the functionality of Construction and CADNet so, unless you need Trench and GeoTech as well, you could save a little money by just buying those modules. And you could always add the other pieces later if necessary. Construction includes most of the functionality you will need for building models and doing takeoffs: tools for elevating 2D to 3D, site and roadway surface modeling (including resurfacing), quantity calcs, exporting to machine control and more. CADNet includes the digitizing and imaging tools such as raster to vector, importing PDFs and BIM files and more. 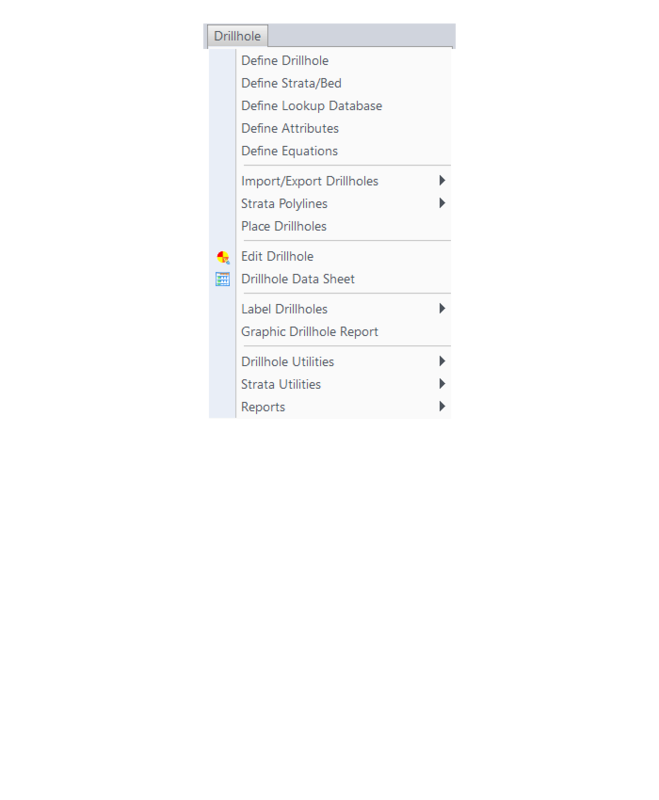 GeoTech is for importing borehole data for analyzing subsurface conditions and materials. 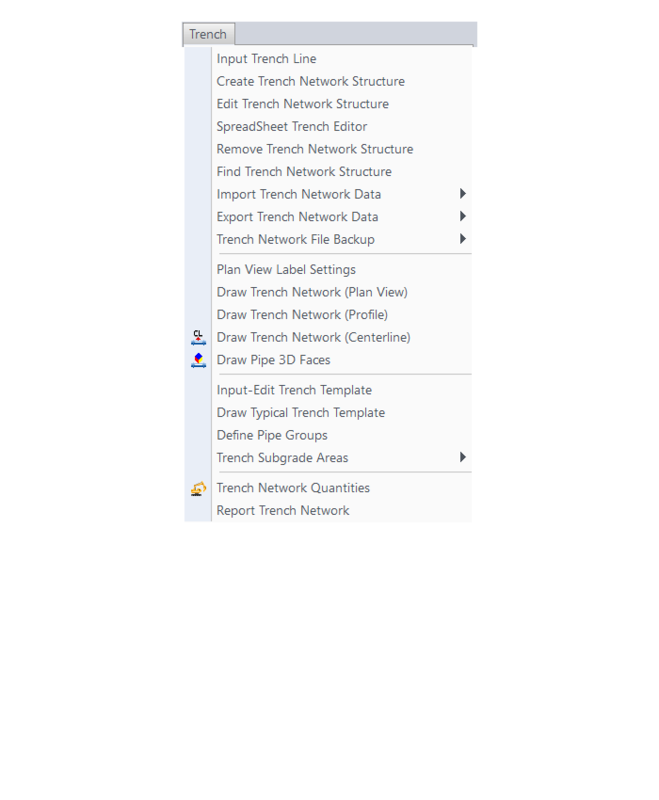 Trench is for calculations related to installing pipes, sewers, or utility lines. One other thing to note is that Construction is mostly a blend of the functionality you’ll find in Carlson Survey & Civil. Since the pricing of Civil Suite is the same as Construction, you may find that purchasing Civil Suite and CADNet is a good alternative to Construction and CADNet. I’m a civil engineer. What software do I need? 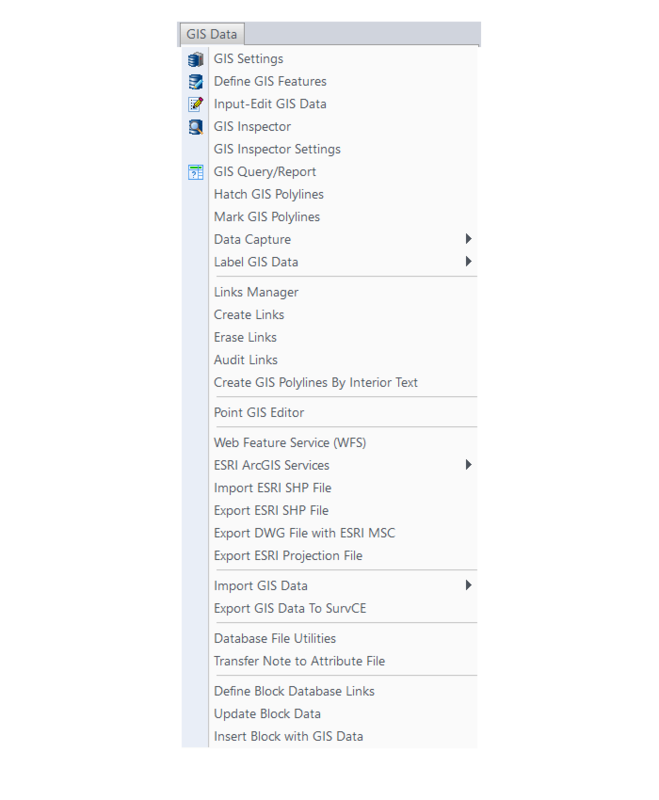 Primarily you’ll probably need Carlson Civil and Hydrology but GIS has a lot of nifty tools for importing images so you may also consider that program a “need” instead of just a “want” as well. Since all three of these modules are included in the Carlson Civil Suite, that’s usually the better deal. 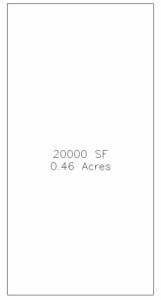 I’m a land surveyor. What software do I need? Carlson Survey, of course! 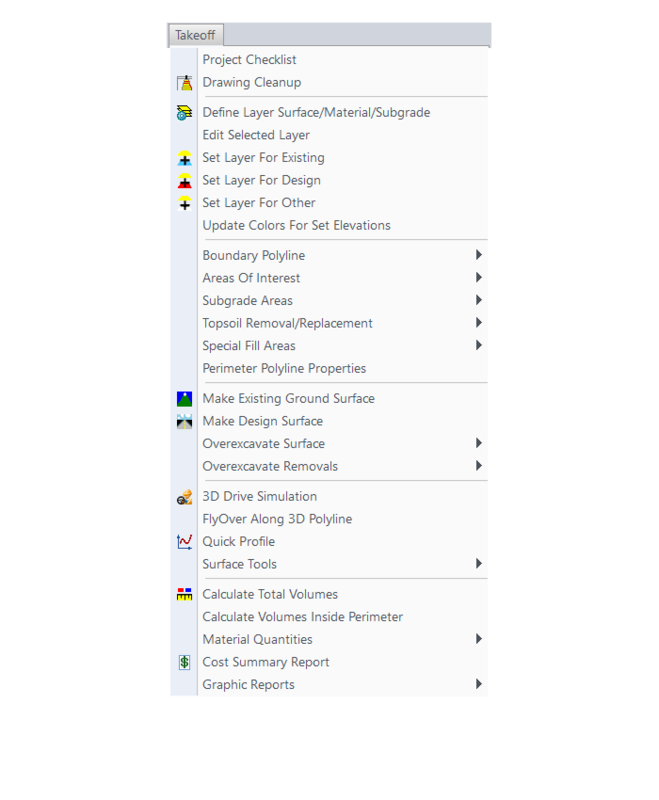 And, if you truly need ONLY Carlson Survey, you have an option between Survey with IntelliCAD or For Your AutoCAD or Survey with embedded AutoCAD (OEM). 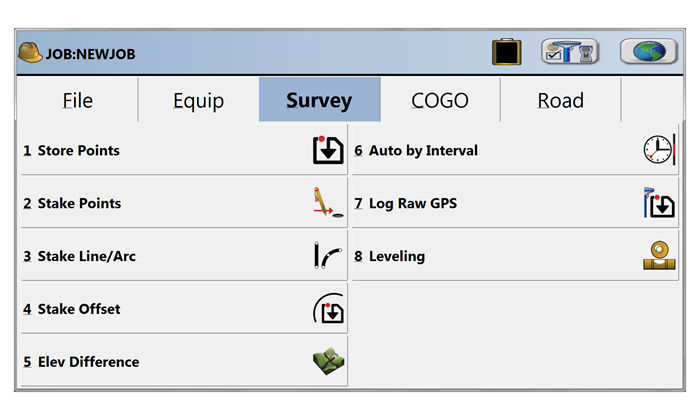 But, I find a lot of surveyors also need Carlson GIS for bringing in aerial photos, images of quad and soils maps. 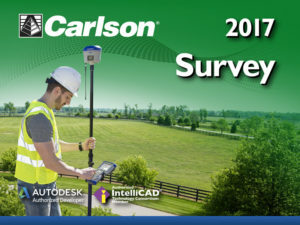 And, this is a little out of the box, but if you’re a surveyor who does a lot of construction staking, I highly recommend Carlson Civil as well. Carlson Civil has a lot of tools that are meant to be used for design but, in my experience, can be invaluable for stakeout. 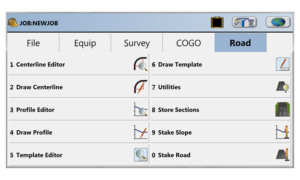 If you need Survey plus any of these other programs, you will have to use Carlson Survey with IntelliCAD or For Your AutoCAD because Survey and Takeoff are the only programs available on the embedded AutoCAD (OEM) platform. And if you need Survey plus any of these other programs, you may want to consider the Civil Suite because the bundled pricing is often better than buying 2 or more individual modules. Is it better to network Carlson than use standalone licenses? The only time I’d recommend networking individual licenses such as Survey, Survey OEM, Civil, etc. is if you have 2 or more people who can literally share a license. 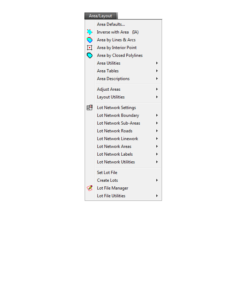 For instance, if you have a technician who works in one office or on one computer from 8-12 and another who works in a different office or computer from 1-5 then, yes, network away! 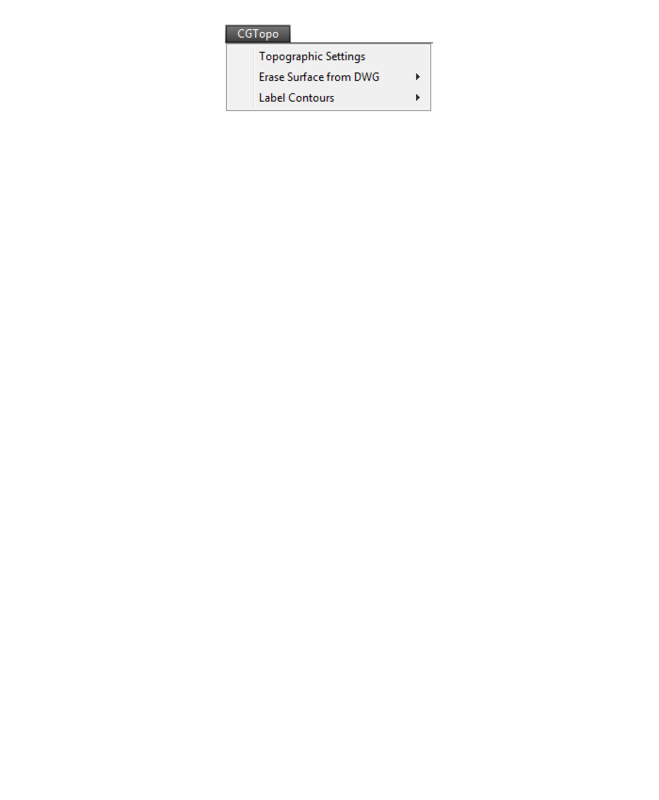 Using this example, only one license will ever be in use at any one time so you would only need to buy one networked license that can be shared on multiple computers. Networking one or more licenses of individual seats can also be beneficial if you have several people using the software part-time. Maybe you buy 3 licenses for 4 to share because only 3 people will ever be using it at the same time. All that being said, networking one of Carlson’s Suites (Civil or Takeoff) can potentially save a lot of money. 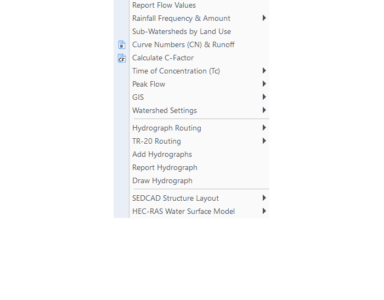 Civil Suite includes 4 programs: Survey, Civil, Hydrology and GIS. 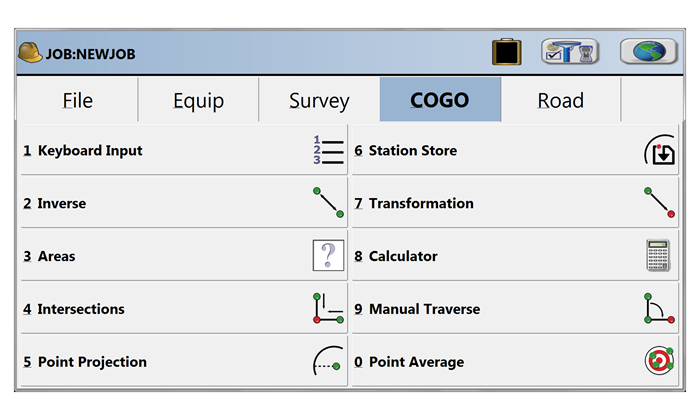 Takeoff Suite includes 4 as well: Construction, CADNet, GeoTech and Trench. If you network either of the Suites, each of those programs acts like an individual license. Sweet Suite! 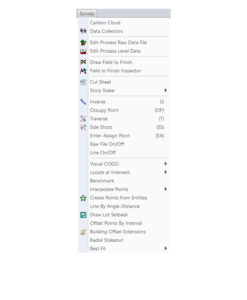 So, if you buy one standalone license of Civil Suite, that license is registered to one user who can access any of the 4 programs at will. 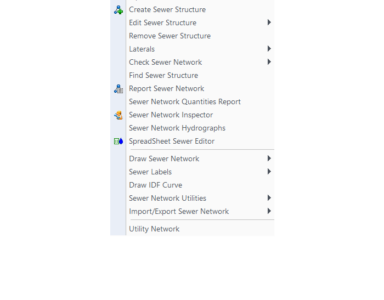 But, if you network that Civil Suite, you can have one person working in Survey at the same time someone else is working in Civil, while a 3rd person is working in Hydrology and a 4th is in GIS. Even though this sounds like a great way to save money, you should also be aware that sharing licenses can also become a headache to your staff and lead to some loss in productivity. 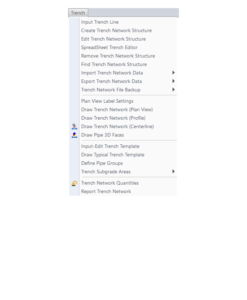 It’s like anything else, networking the Suites has its pros and cons. Does Carlson have student or academic licenses? At this time, August 2016… Student? No, not to my knowledge. But, for Academic licenses? Yes. 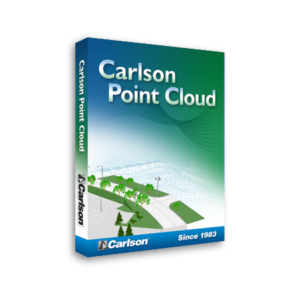 Carlson Software provides unlimited desktop licensing to qualified colleges and universities around the world. Can I install my Carlson desktop software on two computers? Yes. 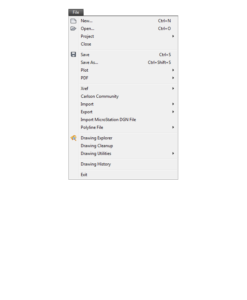 Each standalone license of Carlson can be installed on two computers for your personal use. 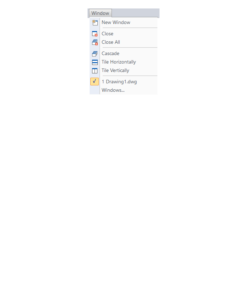 For instance, install at home and at the office or on your office desktop computer and your field laptop. But, if you own one license, both computers cannot be using Carlson at the same time or it is a violation of your Carlson Software License Agreement (EULA). For your 2nd installation, follow the same steps to download and, during the installation process, use your same serial number. The key to NOT getting in trouble is how you register it the first time it launches on the 2nd computer. The image below shows the Install Info tab of the registration dialog box. 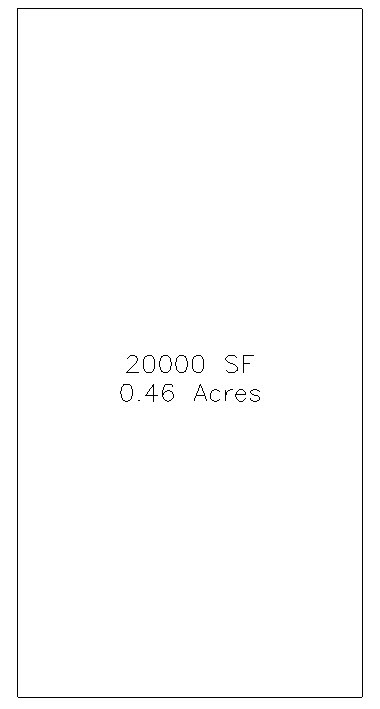 Home/Field use. 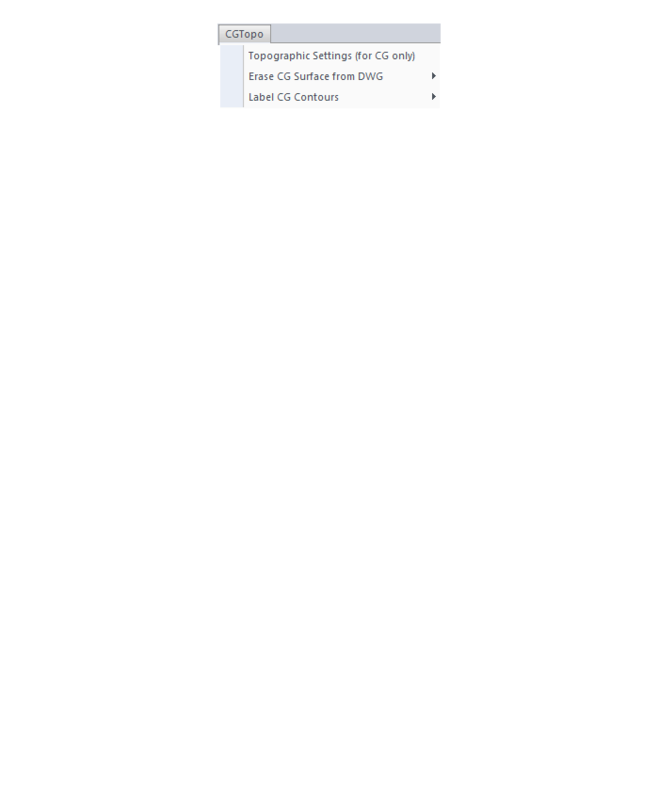 See License Agreement. For your 2nd installation, you’d choose option #4. It’s a little dated but you can refer to this Knowledge Base article from Carlson’s website explaining these options: Carlson KB 893: Desktop Software Reasons for Registration. This FAQ explains where to find your Carlson Software License Agreement (EULA). Where do I start? 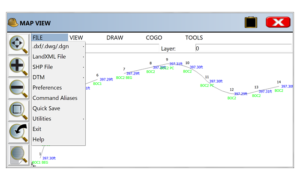 Carlson Software Training Video? There are many Carlson Software training videos. 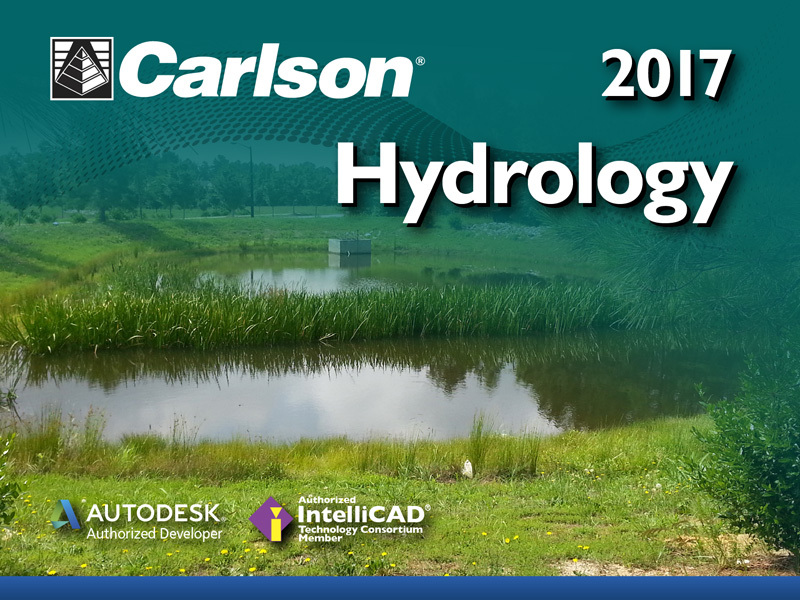 Start by viewing this recorded webinar: Carlson Software: All Substance, No Styles. Then click here to send me an email and let me know what you think. 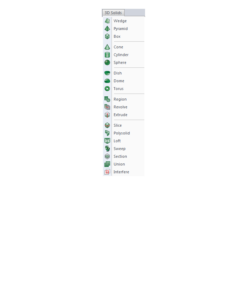 Or you can follow this link to request a 30 day trial, online demonstration or pricing! Where can I download my Carlson Software? You can go to Carlson’s Software Download page to download complete installation files or files that will update your current installation to the newest build. You will first have to select the correct program and version for downloading. 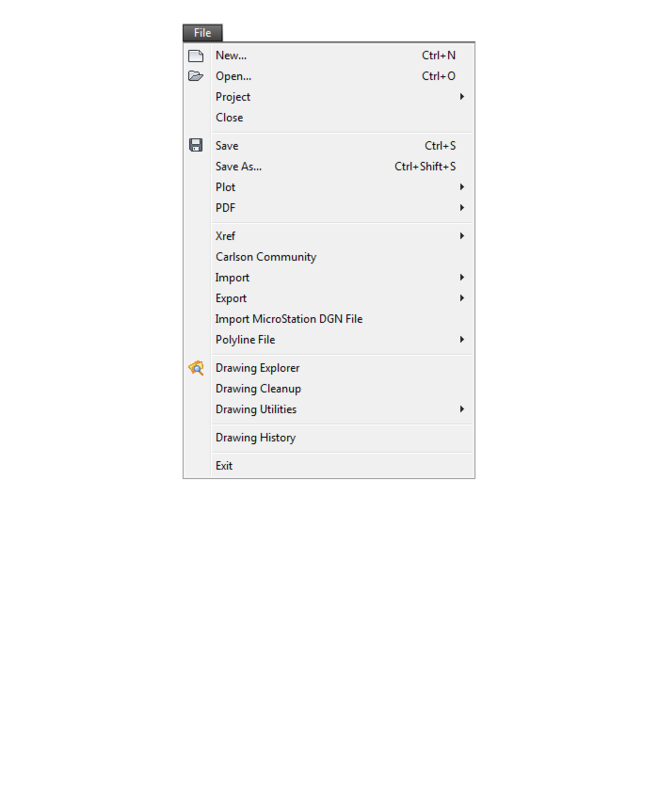 You can choose your Carlson program and version from a drop-down list or, if you’re not sure of one or both, you can also enter your serial number to find the right download. After selecting the correct product, pick the Show Files button and then select the correct version. 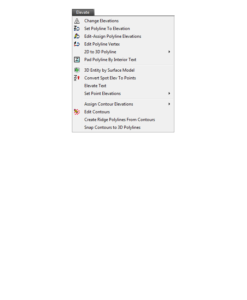 Depending on the program and version you choose, you may be presented with a long list of downloadable files including full versions for 32-bit or 64-bit computers and various files that will update your current installation to the newest build. Just read the download file descriptions carefully and download the one that matches your system. Where do I get Carlson support? How much will it cost me? It’s free. It’s always free. Straight from Carlson. 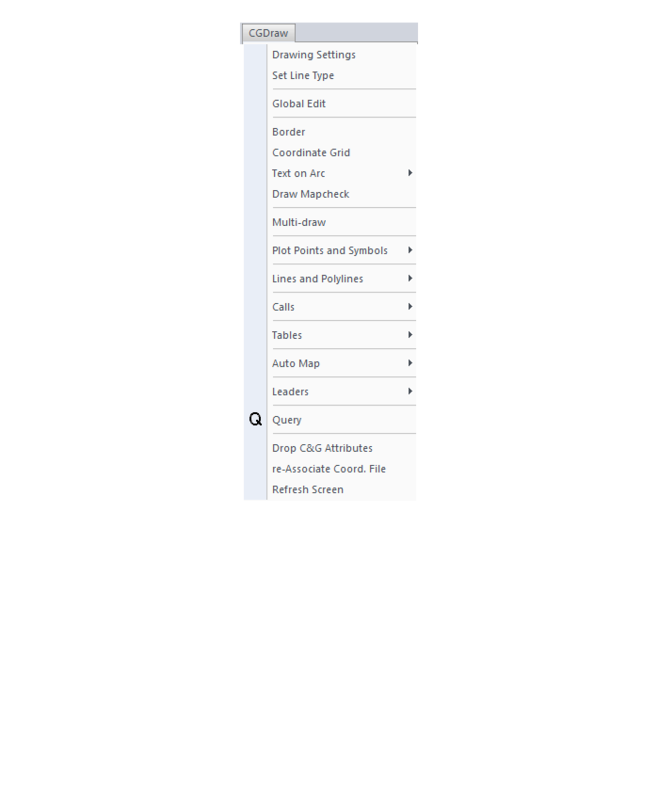 It doesn’t matter if you’re on the latest version or on a version that’s 10 years old – it’s always free. You can email Carlson tech support or call (606) 564-5028. You might also check Carlson’s Knowledge Base site which provides answers to many common questions. 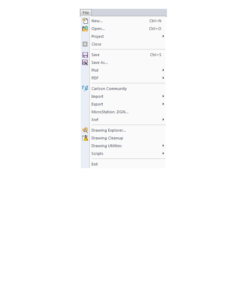 Because I have them as a backup, I also try to answer as many tech support questions as I can. 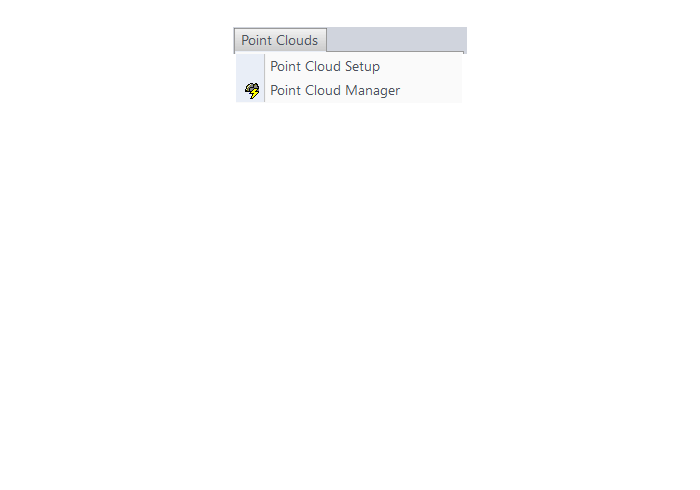 You can follow this link then click on Request for Tech Support or just feel free to copy me on that email to Carlson. BIG REQUEST: When calling or emailing for technical support, the first question you’ll likely get from either me or Carlson is “Are you using the current build?”. If you want us to love you even more make sure to say, “Oh, by the way, I’ve already checked and I’m using the current build”. How can I find out when new versions or builds of Carlson are released? You can visit Carlson’s Email Preference Center and sign up to receive emails directly from Carlson for updates. 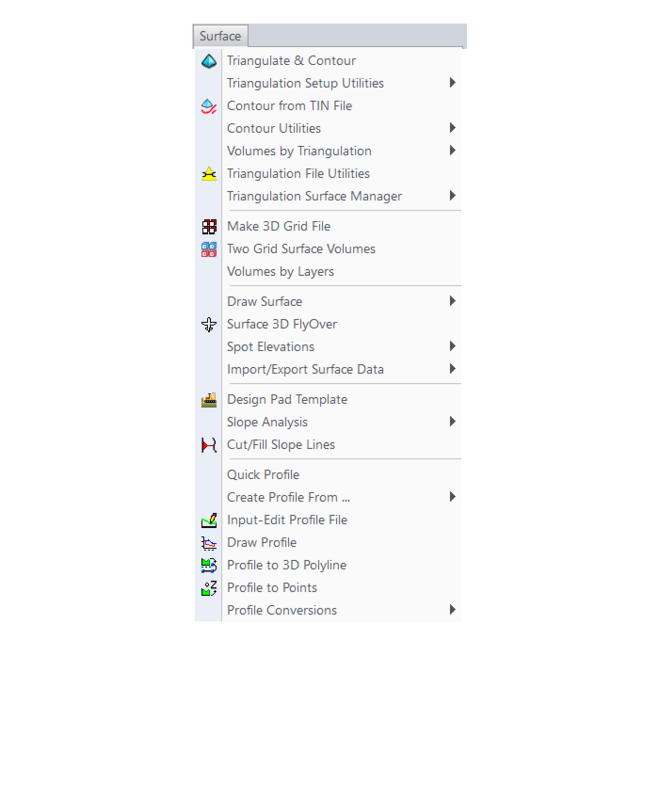 You can also refer to this FAQ for an active list of the most recent builds for most of the desktop and Carlson field software programs. How much training will I need to learn Carlson? 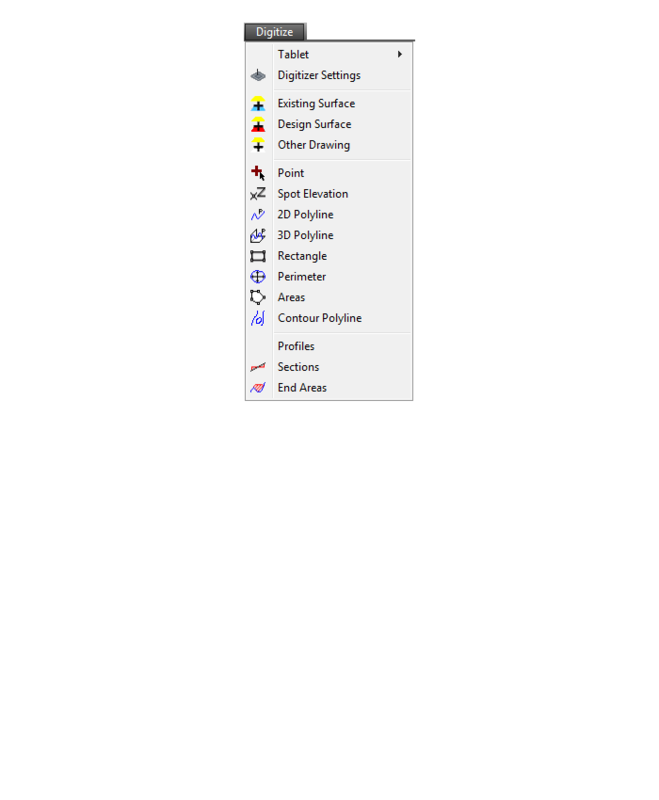 It really depends on what program(s) you’ve used in the past. 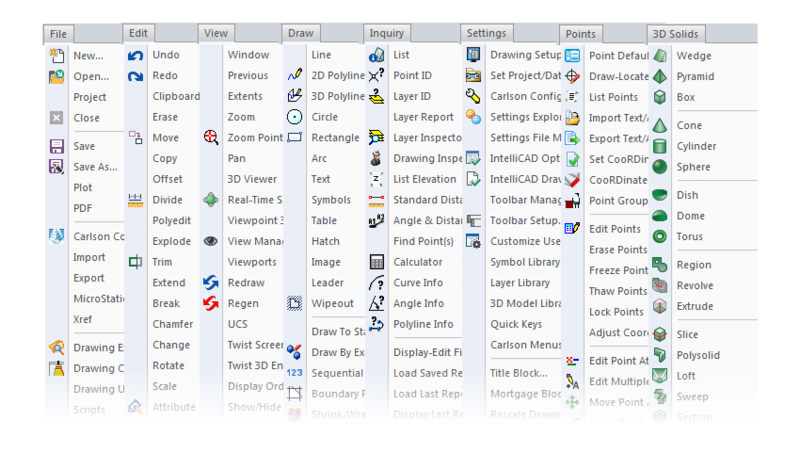 Online CAD program training may be a good option for you. 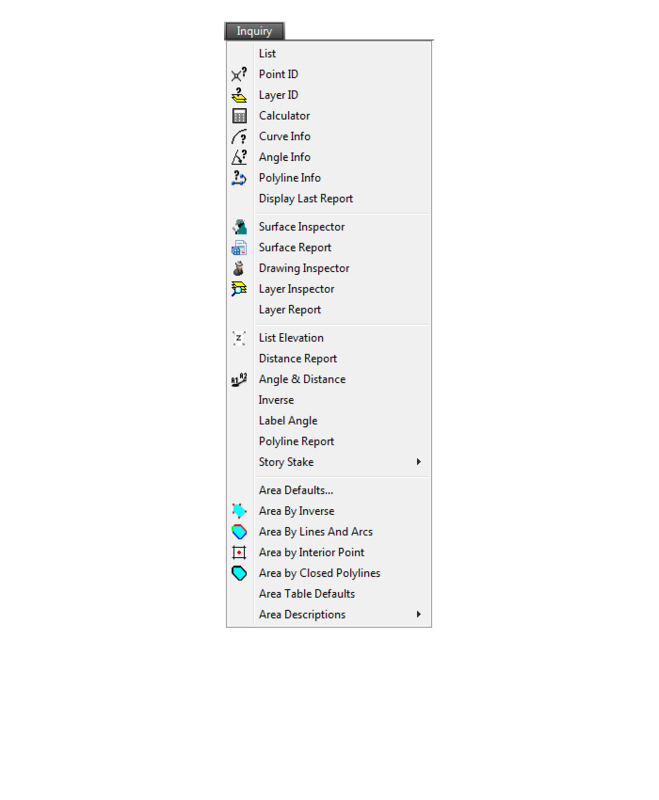 If you’ve used anything AutoCAD-based (such as Land Desktop, Eagle Point, Civil 3d) then the only thing you will need to learn is how Carlson manages points or surfaces compared to those programs. 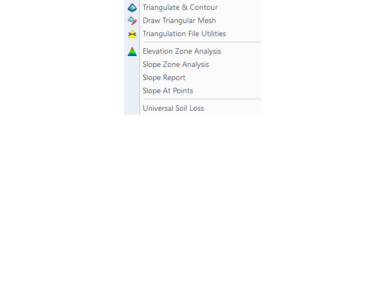 In many ways Carlson Software and Land Desktop are more similar than Land Desktop and Civil 3d so the learning curve is pretty short. But, if you’re coming from TerraModel or Microstation-based program, learning the AutoCAD or IntelliCAD platform underneath Carlson programs will probably double the time it takes to learn the program. It’s all CAD so you’re not starting from scratch, but figuring out the fundamental differences between layers and levels, templates and seed files, cells and blocks, paper space and plan/profile views and so on will take some time. Refer to this FAQ for training that’s available if you need to learn CAD or Carlson Software. “GeoTech will model all core samples and produce a detailed, easy-to-read report for drill logs, cross sections, and plan view,” says Dave Carlson, V.P. 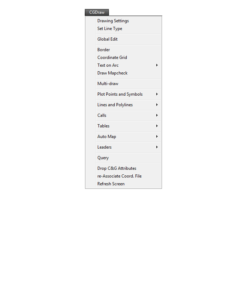 of Development for Carlson Software. 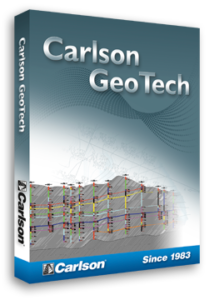 In addition, this information is fully integrated with Carlson Civil, for determining site stability and suitability, and also Carlson Construction, for accurate strata takeoff estimation. How do I know if I’m running the latest build of my Carlson Software? 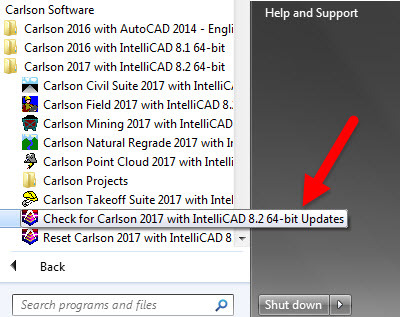 The first time you launch your Carlson Software after a computer restart, the program will usually check in with Carlson’s website to see if a new build of the software has been posted; however, sometimes this automatic Check for Updates doesn’t occur and you have to force it to check. Rather than use the Check for Updates link, if you need Carlson Software help, you can also follow these FAQs to manually check and see if the build you currently have installed is the same as the one posted on Carlson’s Software Downloads page. 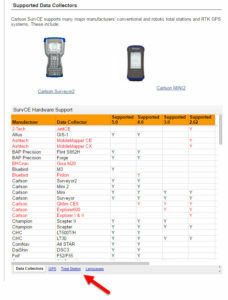 What are the system requirements to run Carlson SurvPC? 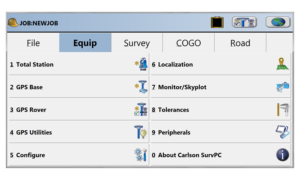 Carlson’s field data collection software comes in two formats: Carlson SurvCE for mobile, hand-held collectors running on Windows Mobile and Carlson SurvPC which can be installed on PCs, tablets and laptops running full-Windows 7, 8, 10, etc. 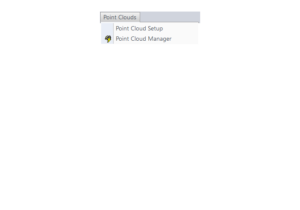 Click here to review the minimum system requirements for SurvPC. 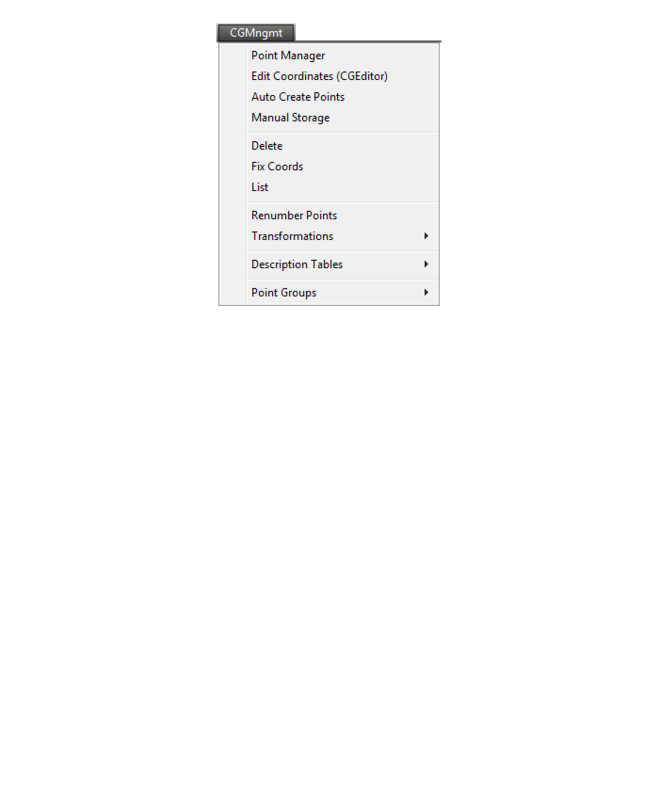 Maintenance for my SurvCE & SurvPC – Since when? Yeah, well, that was short-lived. Carlson offered maintenance on SurvCE & SurvPC for only about a year and then discontinued it because there’s no guarantee a new version will come out every year. Carlson has now gone back to a straight upgrade type program. You can follow this link then click on Request a Custom Proposal to request upgrade pricing. If you purchased maintenance during that time feel free to send me a message and I’ll see if you’re eligible for an automatic upgrade. Where can I get a 30 day trial of Carlson? Do I qualify for an automatic upgrade to the new version of Carlson? 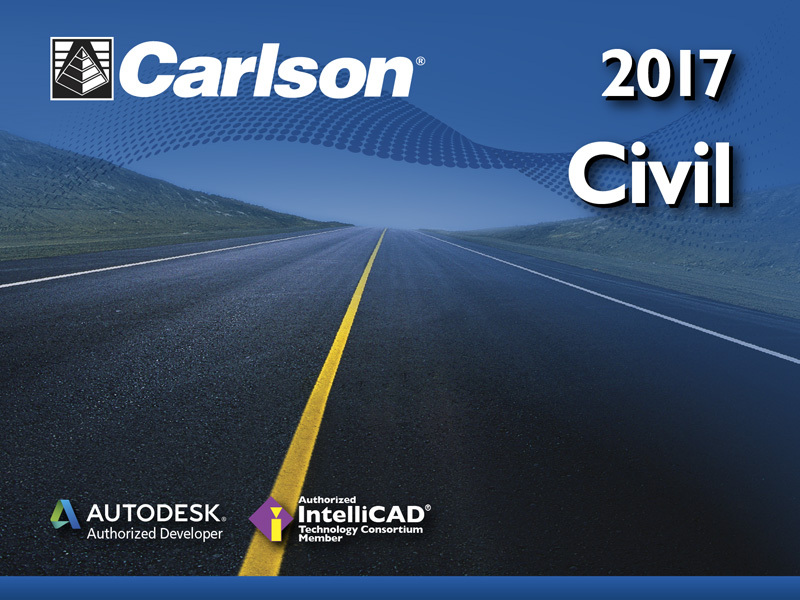 With every new license of Carlson that includes IntelliCAD or runs on top of your AutoCAD, Carlson includes 90 days of free Maintenance at no charge. 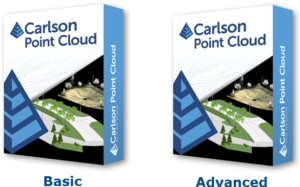 This is Carlson’s way of guaranteeing that, if a new version of the software is released within 90 days of purchase, you will automatically be upgraded. Also, you have the option of purchasing Maintenance for any of the desktop software with IntelliCAD or for your AutoCAD. Bottom line: If your Maintenance is current when a new version is released, you’re eligible for an automatic upgrade to the new version. Follow this link then click on Request a Custom Proposal to get pricing for upgrades or maintenance renewal or even just to request a report of your current licensing. 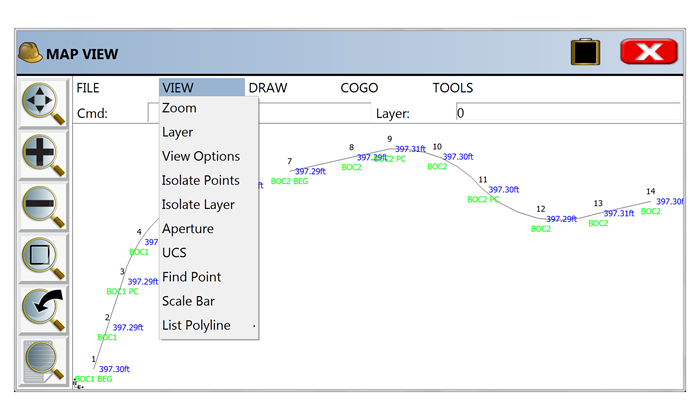 The primary goals of the IntelliCAD Technology Consortium are to “research and develop CAD technology, the IntelliCAD platform, and to deliver CAD solutions to customers worldwide.” In other words, to provide the personal and commercial CAD markets with a cost-effective solution that is capable of reading and writing the common drawing (DWG) file. The ITC is a non-profit, independent organization of commercial software developers (members). The ITC has an elected, volunteer, member based Board of Directors which guide its strategic vision. An independent (non-member) President manages the tactical business operations. Members pay annual dues that fund the ITC. Today the ITC has over 50 members who support 13 languages and ship product in more than 35 countries. Except where noted, each of the following items were obtained from An Outside Look in at IntelliCAD (used by permission) which requires the free Adobe Reader. 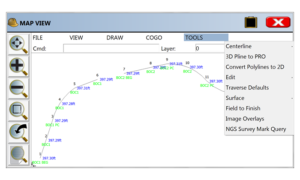 1999, July 27: “Visio cuts IntelliCAD loose by granting the IntelliCAD Technology Consortium a royalty-free, perpetual license for the source code of the IntelliCAD 2000 technology. The ITC was set up by Visio, but run by an independent board of directors. 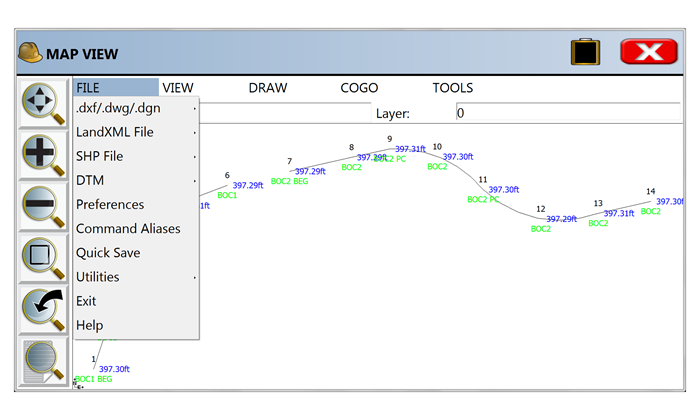 Subsequent releases of IntelliCAD through the ITC occur every year since its initial release (see the IntelliCAD version history link under the Press section of the IntelliCAD Technology Consortium web site). 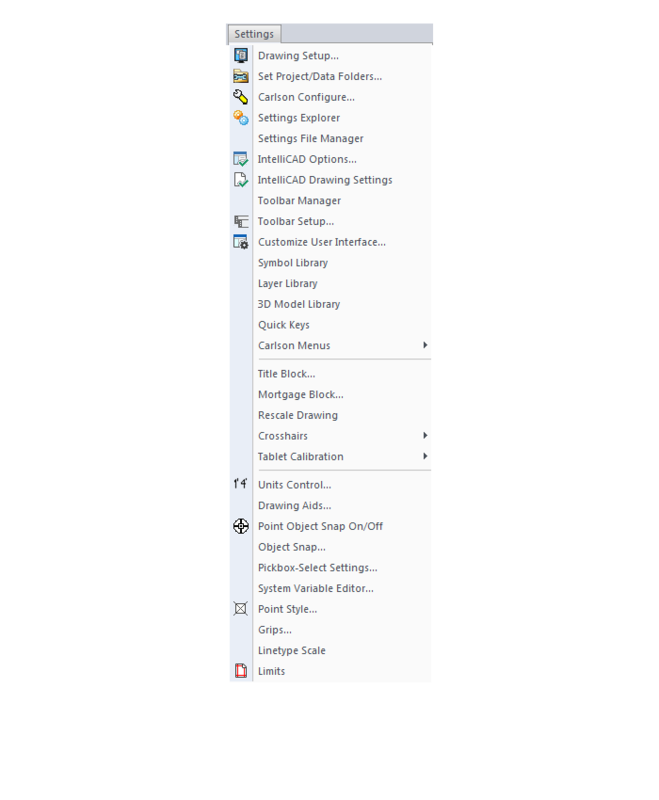 The Carlson 2009 installation comes with IntelliCAD 6.4 built-in. When you choose IntelliCAD as the CAD platform during installation, the IntelliCAD engine is installed along with the Carlson program files. Carlson 2009 only works with this built-in version of IntelliCAD and not on any other version of IntelliCAD or other IntelliCAD based products like Bricscad. 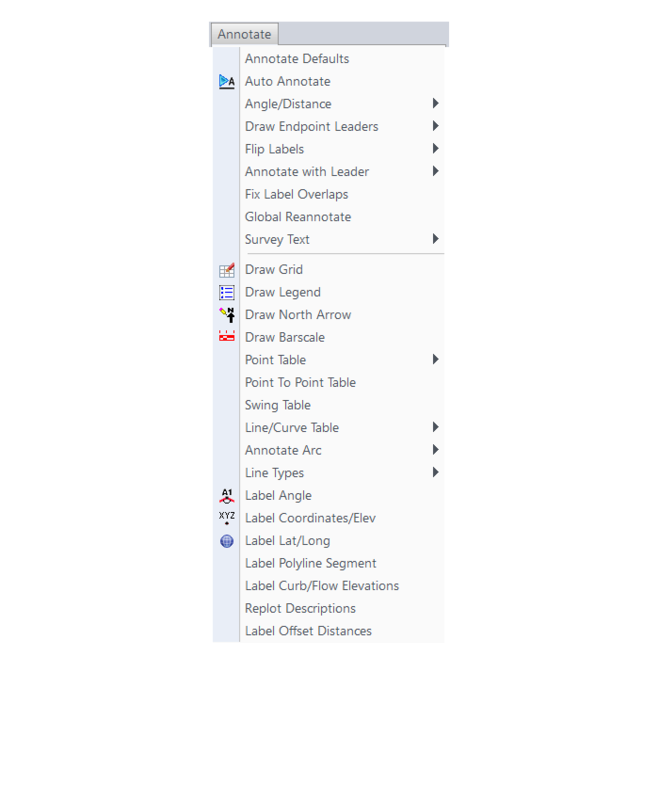 IntelliCAD has a very similar user interface as AutoCAD, supports the core AutoCAD commands and uses the DWG drawing formats 2009 to R14. For some Carlson commands, creating entities in AutoCAD is twice as fast as IntelliCAD which makes a significant difference in routines that create lots of entities. The upcoming IntelliCAD 7 will be built on DWGdirect from the Open Design Alliance and will add a “DRX development environment” similar to ObjectARX with AutoCAD. 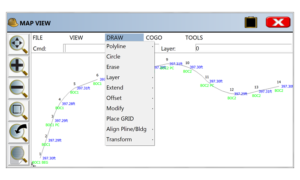 Using DRX should greatly improve the speed of entity creation within IntelliCAD. If you identify any other AutoCAD feature that you miss when running Carlson with IntelliCAD, please email us at support@carlsonsw.com and we willl add to this list which helps guide future developments. 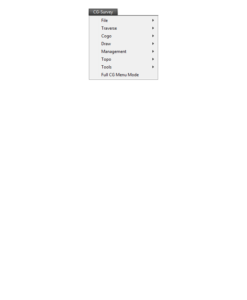 Information in this document is subject to change without notice and does not represent a commitment on the part of the vendor. IntelliCAD® is a registered trademark of the IntelliCAD Technology Consortium, Inc. and is used under permission. 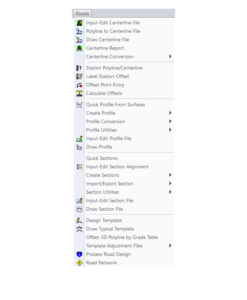 Windows® and Visio® are registered trademarks of Microsoft Corporation. All other registered or unregistered trademarks are the property of their respective holders. 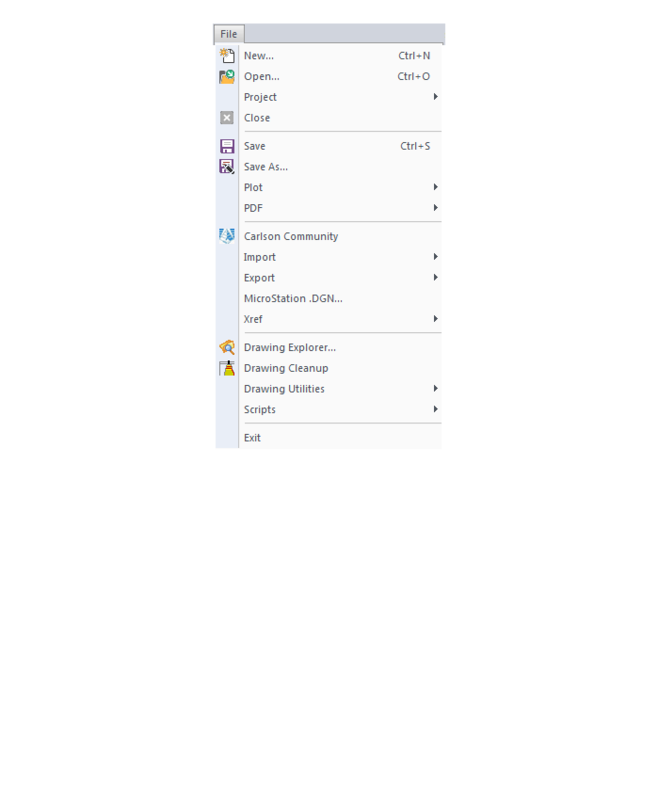 All links contained herein open in a new web-browser window. 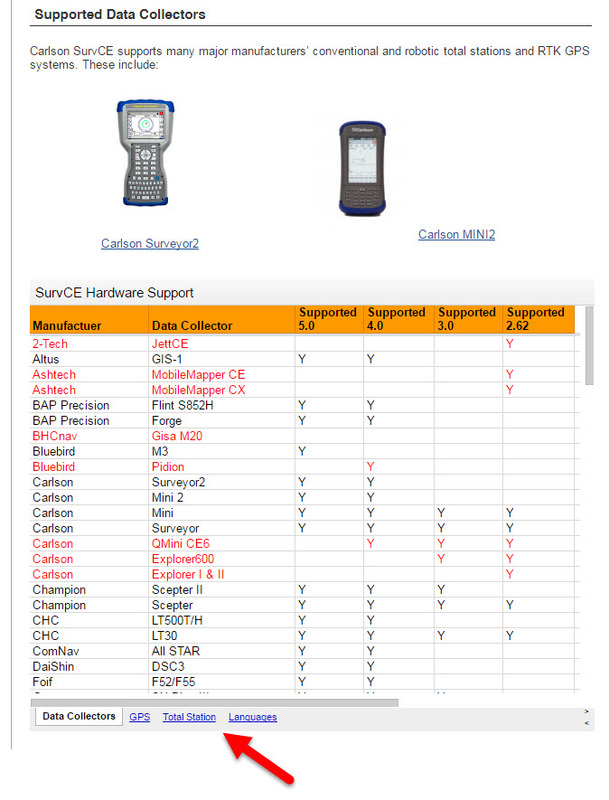 If I use Carlson Survey in the office, do I have to use SurvCE on my data collector? 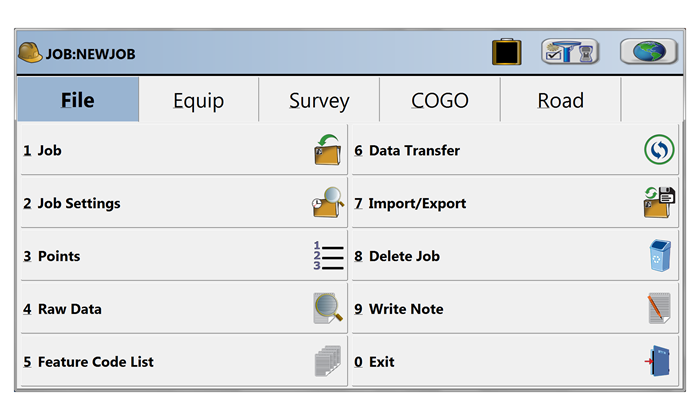 Carlson Survey allows you to import, export and convert points and raw data from dozens of different formats and from a wide variety of manufacturers. Carlson Software, as a company, does everything within their power to make their software and hardware compatible with as many other manufacturers’ products as possible. 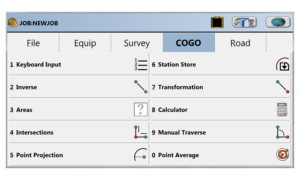 Carlson wants their users to have the option of mixing and matching their software and equipment in a way that works best for their individual needs. Here are just two examples of many throughout the program allowing you to import, export or convert external data. I think I found a bug in my Carlson Software – how can I get it resolved? In addition to the annual release of new versions of their software (2015, 2016, 2017, etc), Carlson posts minor updates called “Builds” through the year to fix bugs and other problems found after the initial release. If you encounter a bug in the program, you’ll first want to check for updates to see if you’re running the latest build of your program. If not, the latest build might resolve the issue. Rather than use the Check for Updates link, you can follow these FAQs to see if the build you currently have installed is the same as the one posted on Carlson’s Software Downloads page. 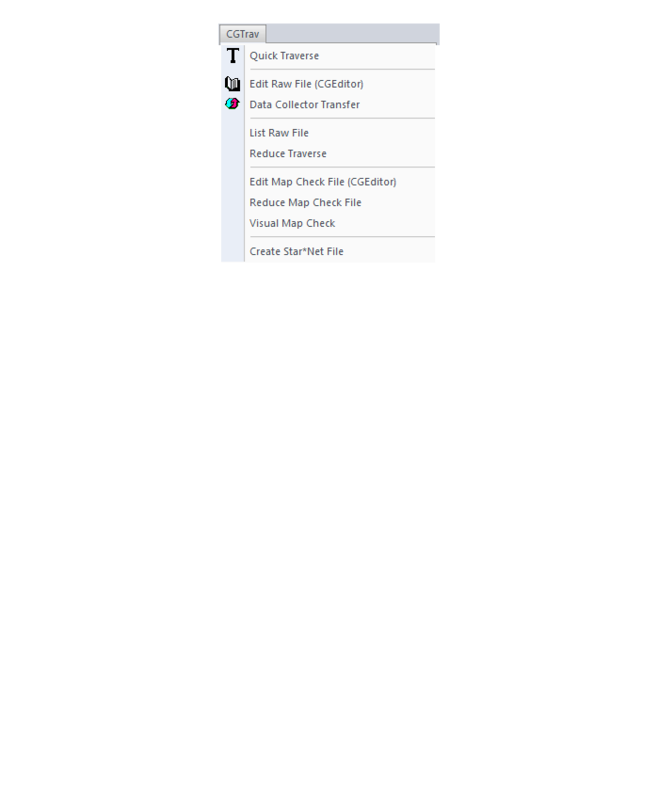 Once you’ve confirmed you’re running the latest build, you have several ways to submit a request for tech support. After they have verified it’s a repeatable error/bug, Carlson may handle it a couple of ways. 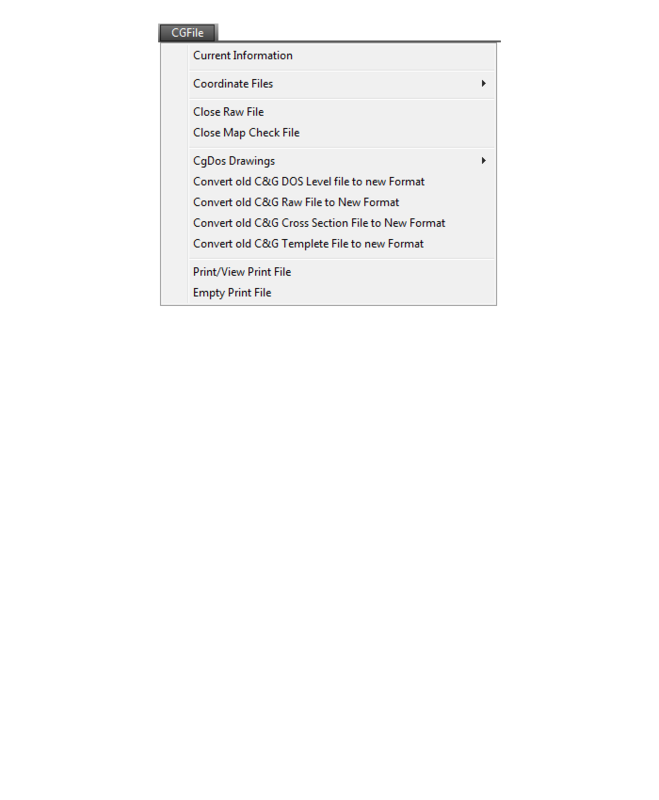 If it’s a stop-work situation for you in the latest version, Carlson will work to correct it and send you updated program files with instruction on how and where to copy them. 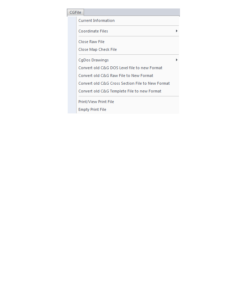 Anyone else who stumbles upon the same issue will get the same files sent to them. Your bug fix will be incorporated into the next build of the program when it’s posted to Carlson’s website. 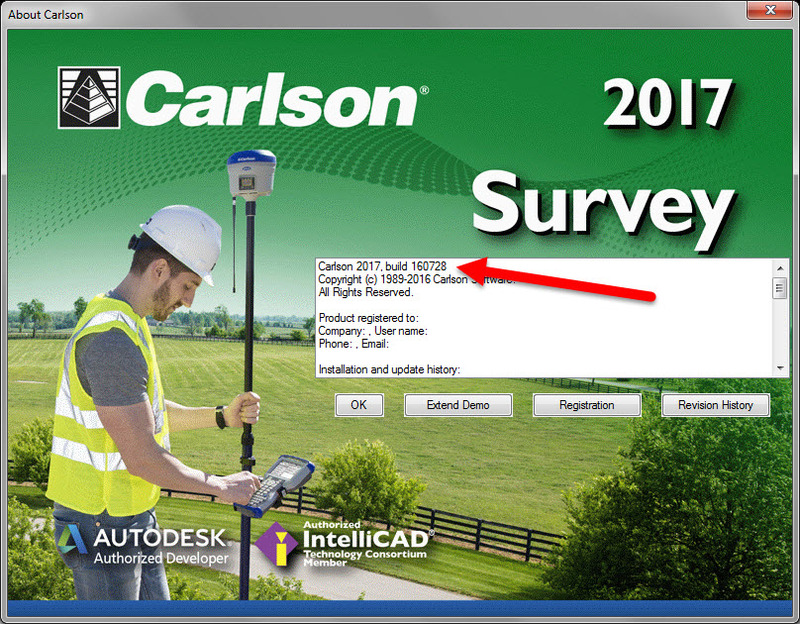 The instructions below are for installing your standalone (non-network) Carlson Survey with embedded AutoCAD (OEM). If you purchased a network license of this program see Download & Install the Carlson Network License Manager FAQ for help. Next to, “Carlson Survey Embedded”, pick “Show Files”. 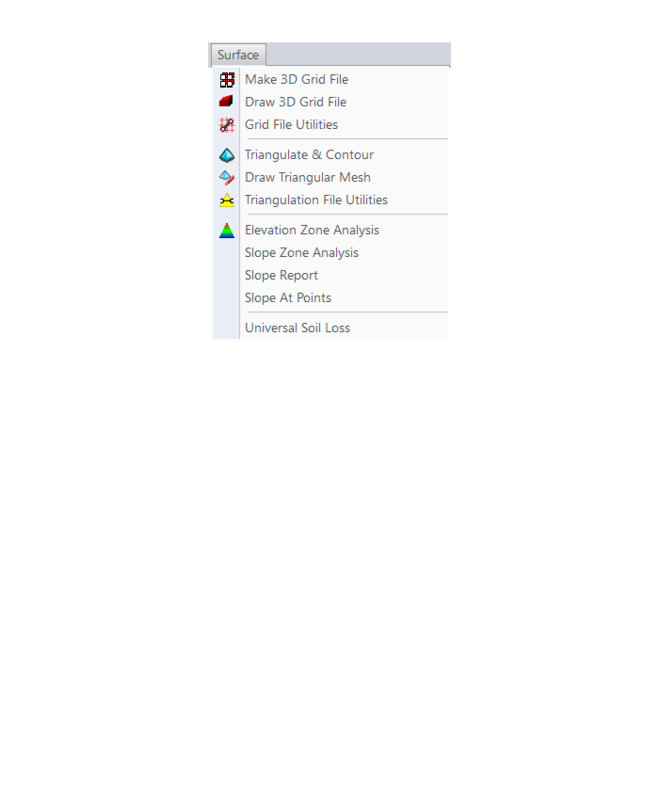 Download #1 or #2 will be the full, complete, up-to-date version of the software. 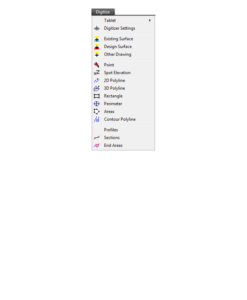 Select “Download”. During installation, enter your serial number when prompted: XXXXX-XXXXX-XXXXX-XXXXX-XXXXX. Complete the Registration Information with your new serial number: XXXXX-XXXXX-XXXXX-XXXXX. 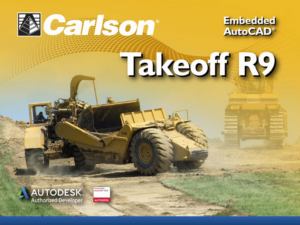 The instructions below are for installing your standalone (non-network) Carlson Takeoff with embedded AutoCAD (OEM). If you purchased a network license of this program see Download & Install the Carlson Network License Manager FAQ for help. 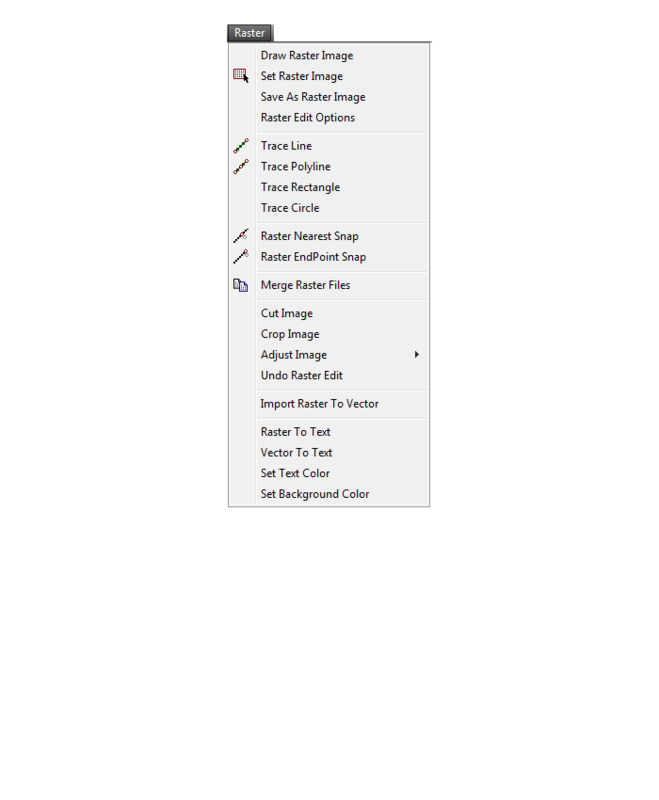 Next to, “Takeoff”, pick “Show Files”. How is the price of Carlson maintenance calculated? 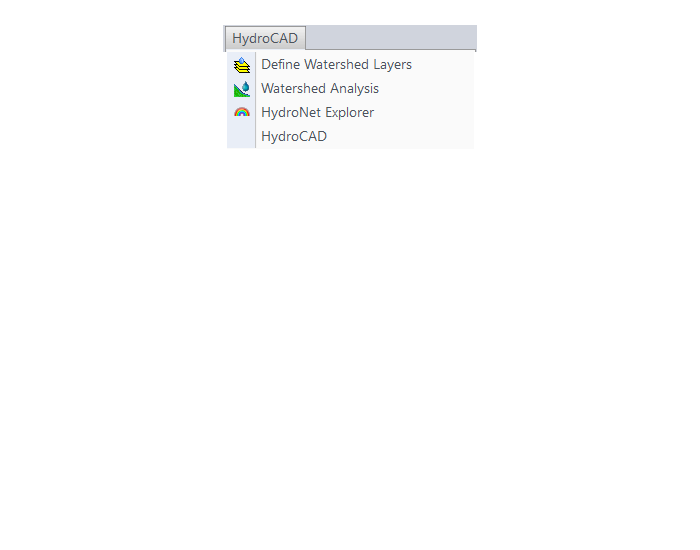 What is the relationship between Carlson and IntelliCAD? Starting in 2009, Carlson Software began including a license of IntelliCAD with their desktop software that, previously, only worked on top of AutoCAD. 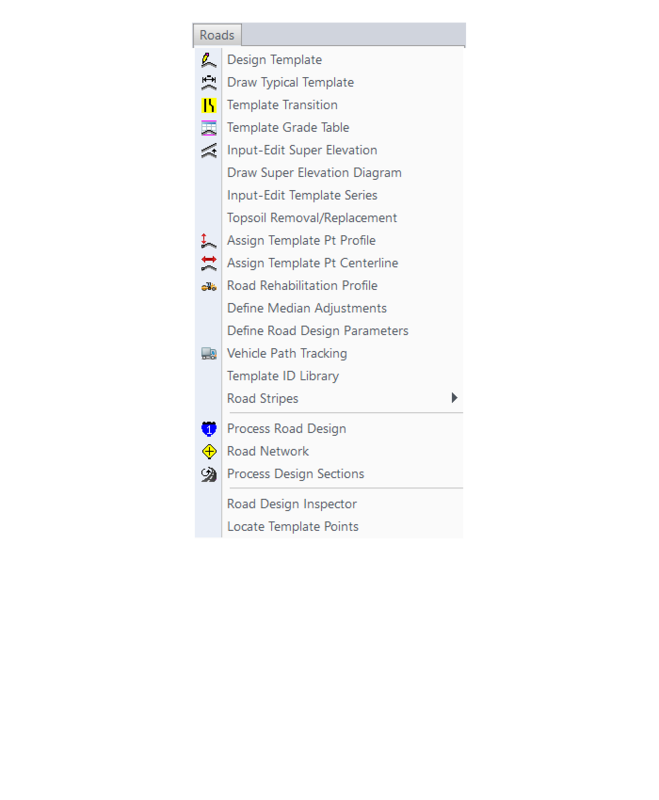 So, now, each user has an option of installing and running these products standalone with IntelliCAD or on top of a separately purchased, full license of AutoCAD. For more information about the version of IntelliCAD that currently ships with Carlson, refer to this FAQ What versions of AutoCAD & IntelliCAD does Carlson run on top of? And what about AutoCAD LT?. 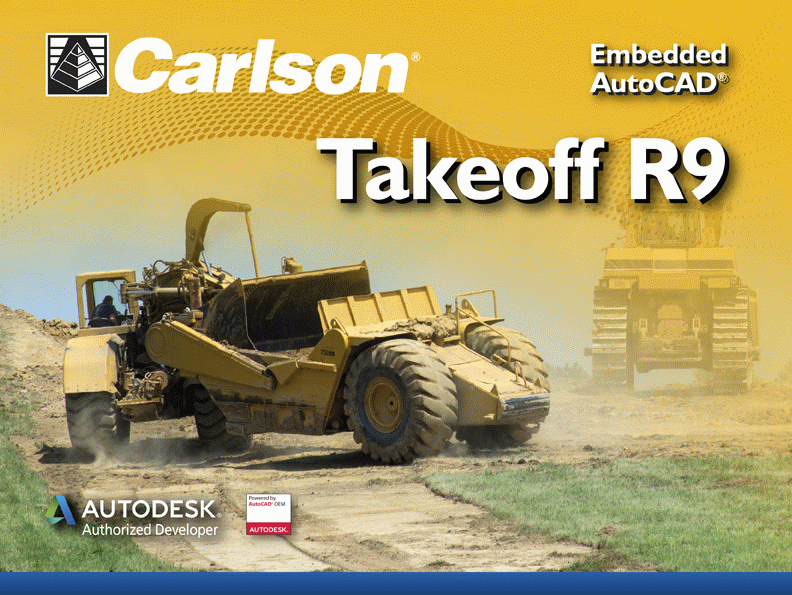 The instructions below are for installing your standalone (non-network) Carlson Takeoff OEM (with embedded AutoCAD). 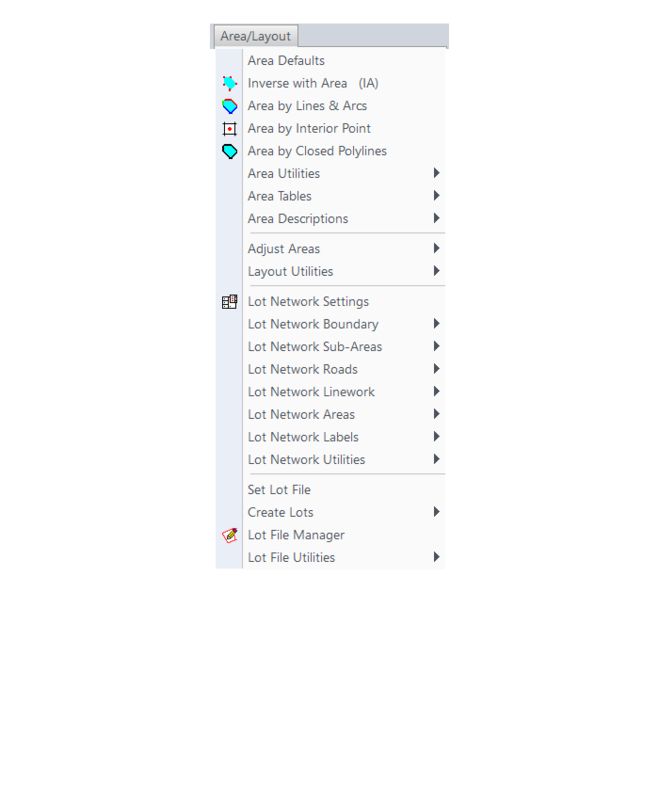 If you purchased a network license of this program see Download & Install the Carlson Network License Manager FAQ for help. The instructions below are for installing your standalone (non-network) Carlson Software on top of a separately purchased license of AutoCAD or the IntelliCAD that comes with the program. 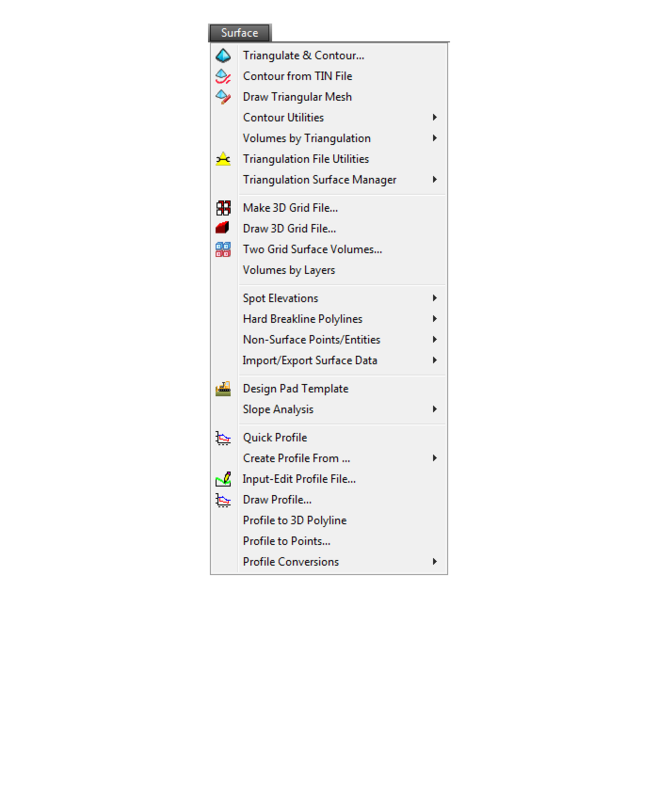 When prompted for the platform, select IntelliCAD or your current version of AutoCAD. 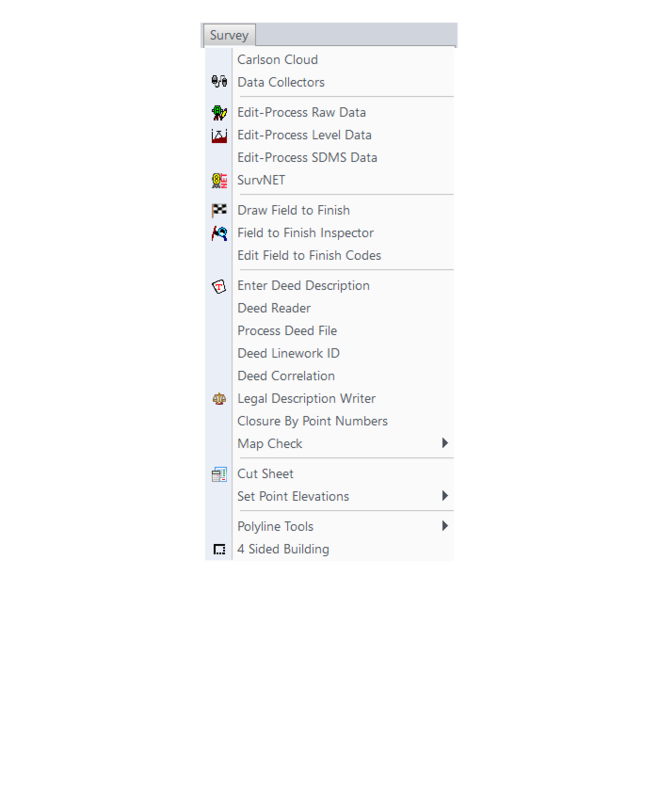 I lost my data collector with SurvCE, am I outta luck? Carlson allows you to purchase hardware and software separately so all you need to do is purchase a new collector and install your SurvCE on it. You will need your SurvCE serial number but, if you have trouble finding it, just email me and I’ll help you track it down. I can’t remember when I received the last confirmation so, until I hear differently, we’ll assume it’s ON…! 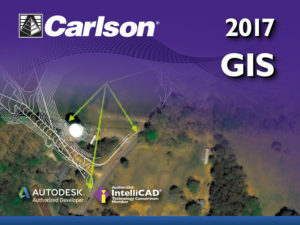 To take advantage of the offer, call 1-800-GIS-XPRT FREE (1-800-447-9778 FREE) and request the Carlson-IntelliCAD GIS Starter Kit and please have your Carlson Serial Number available. 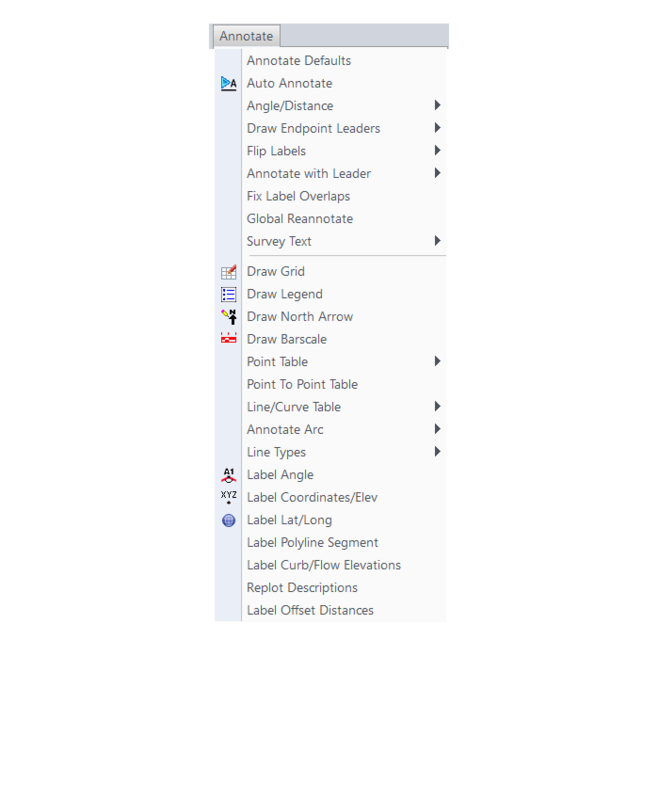 You can learn more about ESRI’s commitment to survey and engineering by attending the Esri AEC Summit or by visiting www.esri.com. 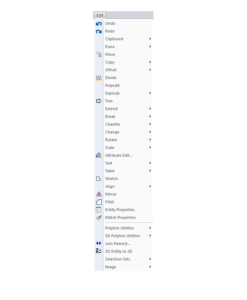 What happens if I get a new computer and need to reinstall Carlson? No problem. Carlson’s registration process provides for that scenario. When you reinstall on the new computer, follow the same steps to download and, during the installation process, use your same serial number. 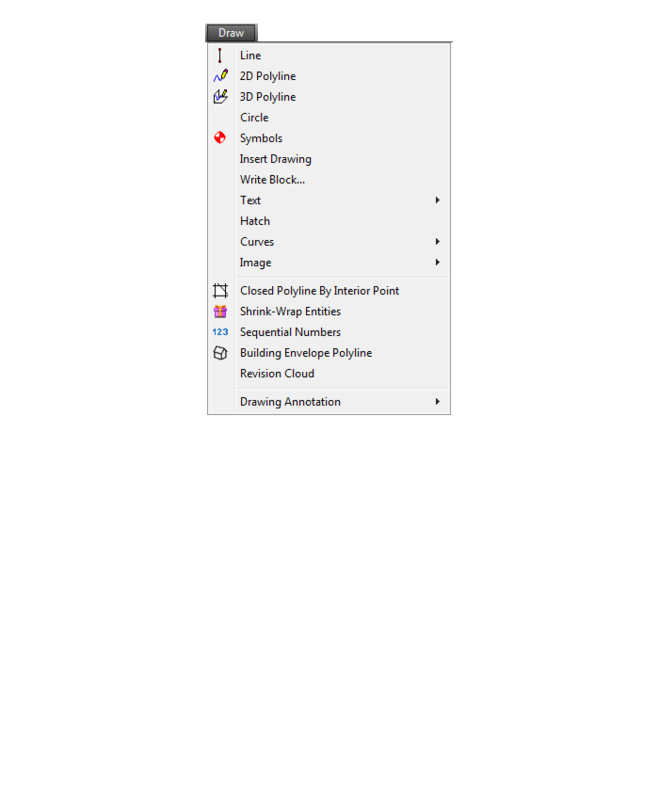 The key to NOT getting in trouble is how you register it the first time it launches on the new computer. The image below shows the Install Info tab of the registration dialog box. For your reinstall, you’d choose option #5. 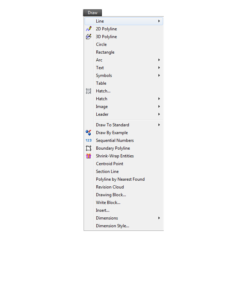 It’s a little dated but you can refer to this Knowledge Base article from Carlson’s website explaining these options: Carlson KB 893: Desktop Software Reasons for Registration. This FAQ explains where to find your Carlson Software License Agreement (EULA). Does Carlson retire their products? Well, to my knowledge, they haven’t retired any yet. That doesn’t mean they won’t in the future or that you’ll get a “we’ll fix that tomorrow!” answer for every problem for every past release… but I am not aware of any programs they have stopped supporting. 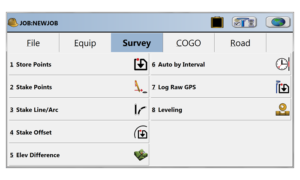 Carlson Software has been developing quality software solutions for land development professionals in the surveying, civil engineering, mining, and construction fields since 1983. Originally, the company offered a variety of products in support of the engineering & mining industries. Carlson Mining is now in use by 90% of the US coal industry, and coal mining from Columbia to Russia, India and Australia, as well as mineral mining. 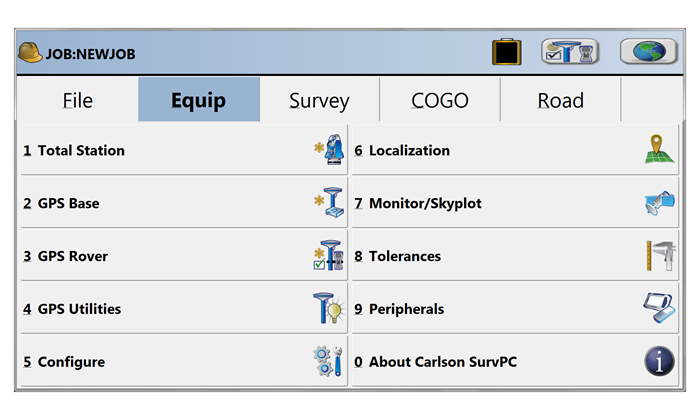 In 2001 Carlson released SurvCE, a data-collection product now adopted by partners such as Magellan, Navcom, Sokkia, Leica and Topcon, and translated into fourteen languages. 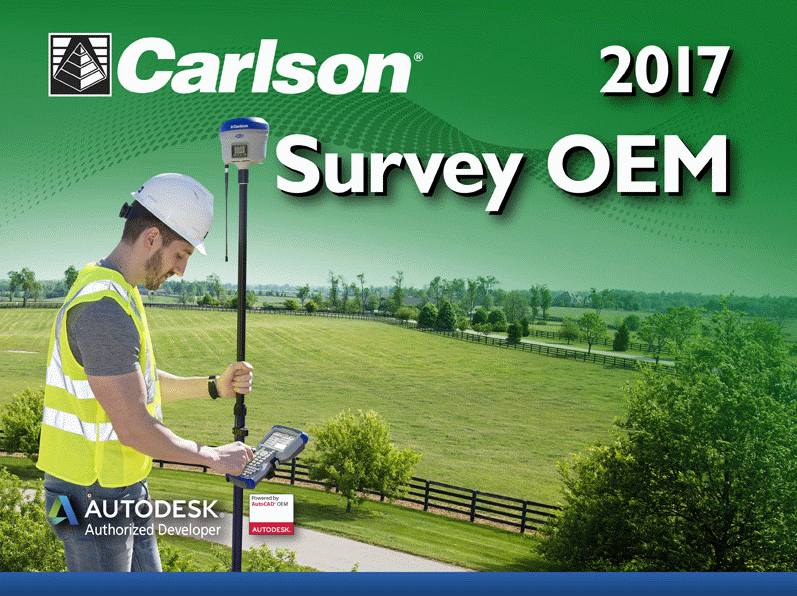 Carlson developed the stand-alone Carlson Survey program in 1996 and in 1999 Autodesk contracted to market and sell a version of it called Autodesk® Field Survey®. 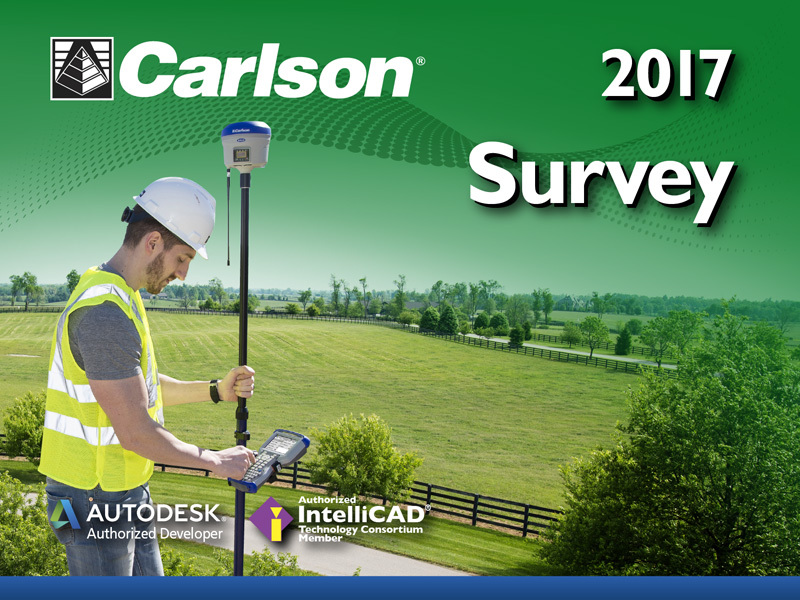 Autodesk did away with Field Survey after a few years and Carlson migrated most users over to Carlson Survey where it has grown to become a favorite of surveyors. 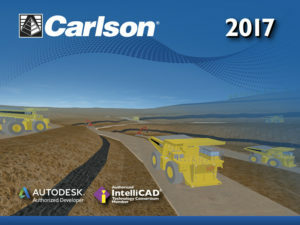 The Carlson Software mission is to become the premiere independent developer of land survey, civil engineering, construction and mining software; to maintain its reputation for technological innovation; to provide industry-leading customer service and support; and to provide one-source technology solutions from data collection to design, on through to construction. 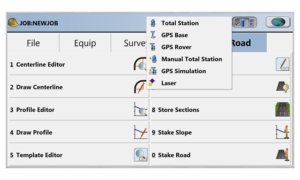 A complete suite of solutions is offered for land-development professionals, covering data collection, surveying, engineering design and drafting, mine planning and modelling, construction estimation and machine control; data-collection expertise produces accident and crime reconstruction field and office software for law-enforcement personnel or law consultants. Customers are encouraged into a ‘positive feedback loop’ that ensures annual software releases are full of customer-driven new features. There is a high rate of customer retention, and the company continues its own tradition of providing free technical support. 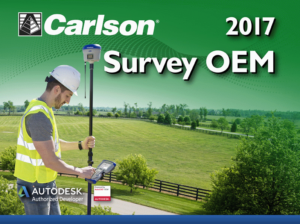 BNP Media (POB magazine) recently conducted a survey of industry professionals through Clear Seas Research and Carlson ranked #1 in product support for both CAD and Data Collection software. Carlson also ranked in the top spots for price fairness and product quality. Beginning in 2009, Carlson introduced a 2nd platform to its offerings. Now, in addition to Carlson Civil Suite and TakeOff products running on top of any AutoCAD® or Map® versions 2004-current (for Carlson 2012 and prior, the programs run on top of AutoCAD programs as old as 2000), these programs are now delivered with built-in IntelliCAD® — a robust, DWG-compatible CAD platform that looks, acts and feels like AutoCAD. 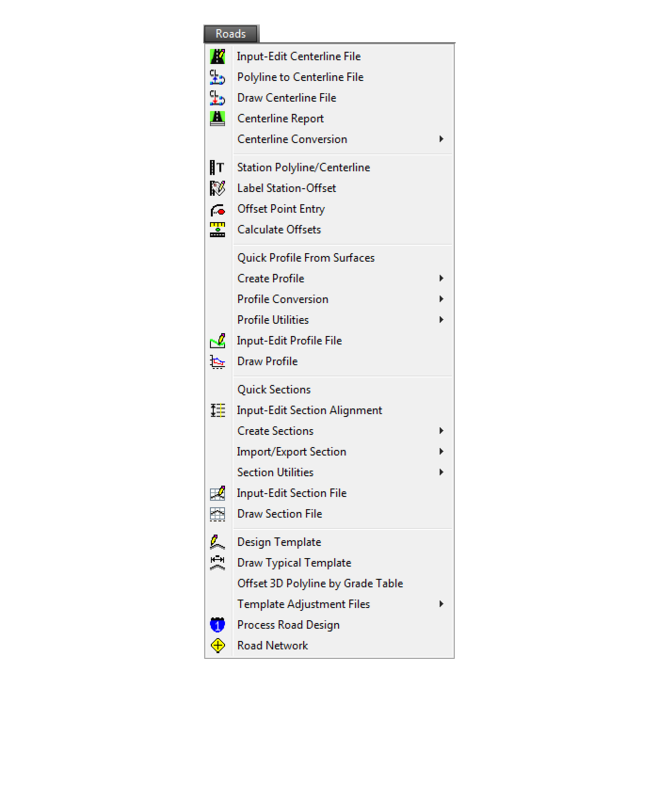 An IntelliCAD version comes with each license of these Carlson products. Carlson Products allow for complete control of the data flow through concept through construction and as-built records. 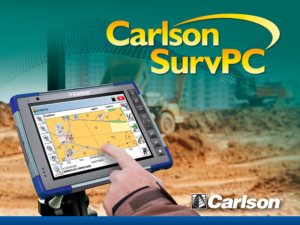 View the video showcasing the many products that are offered by Carlson Software and how they work together to work for you. You can find instructions for installing Carlson Software’s network license manager here: Carlson KB 55: Setting Up License Server and Requesting A Network License. How do I register my Carlson Software? 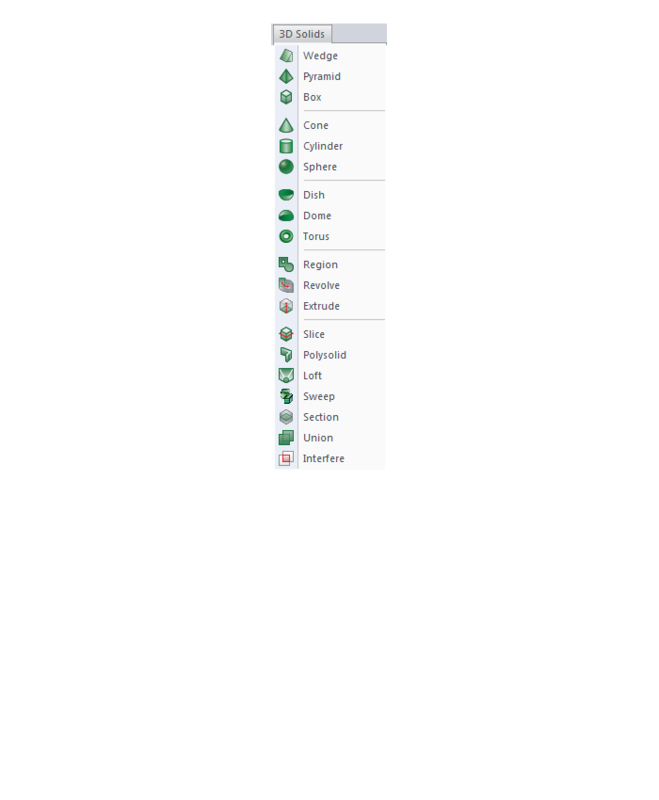 And what are change keys? After installation of any Carlson desktop software program, you will be required to register the serial number that was entered during the install process. 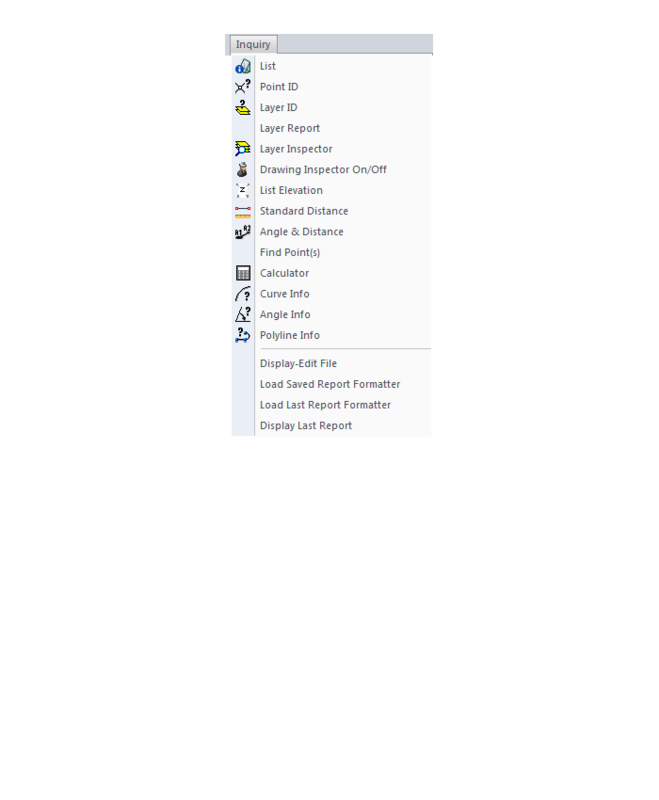 After the software and serial number has been successfully registered a report will be displayed on screen. 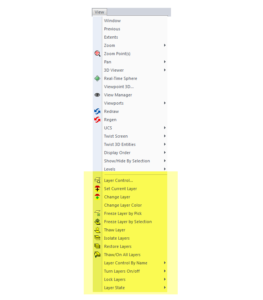 The registration report includes a 5-digit “Change Key” that eliminates most steps in the registration process in the event that you need to re-install with the same serial number. 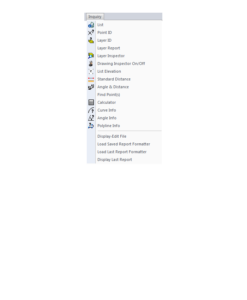 It is best to print or otherwise save this report for future reference. 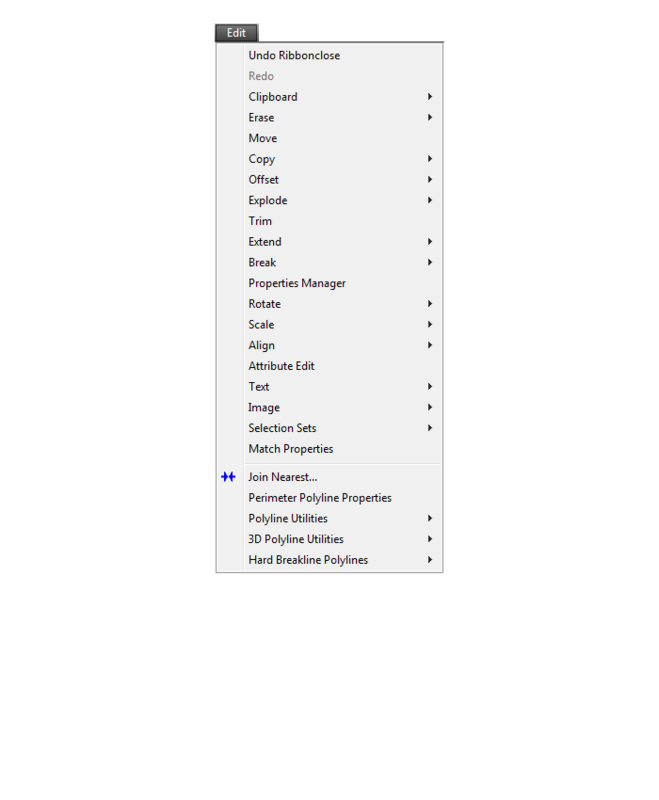 In the first tab of the dialog box you must specify your Registration Method. 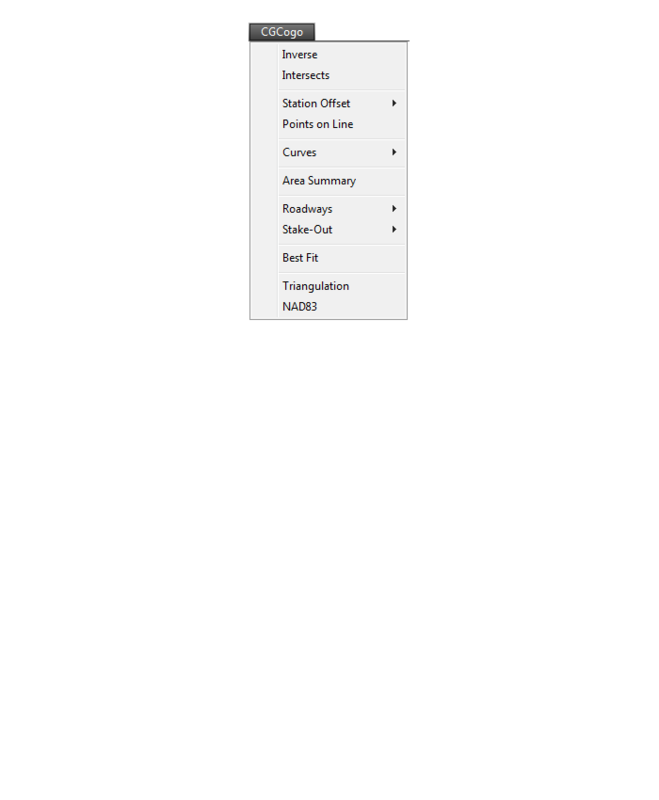 If you have a change key from a previous registration, you can simply choose the option Already have a change key. Otherwise, choose the option Register to obtain a change key. 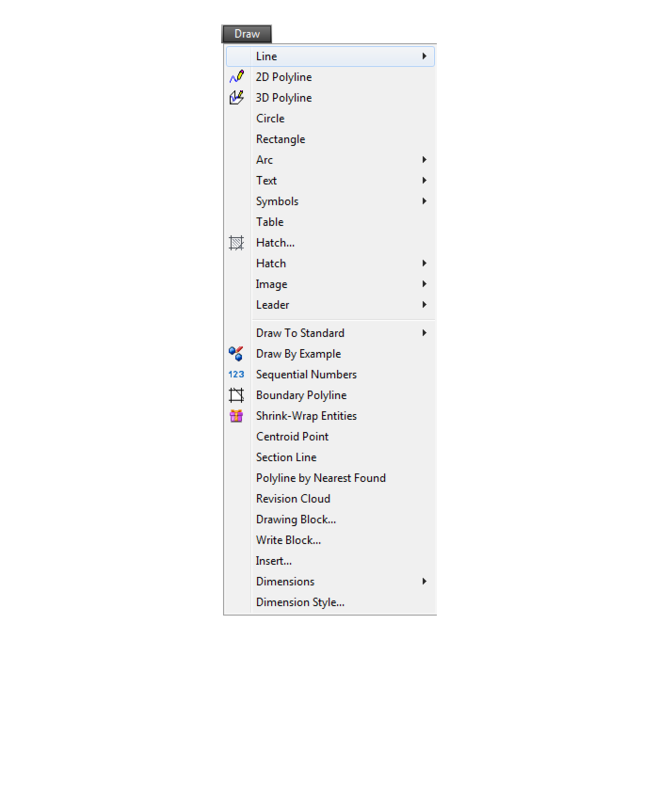 It’s a little dated but you can refer to this Knowledge Base article from Carlson’s website explaining these options: Carlson KB 893: Desktop Software Reasons for Registration. 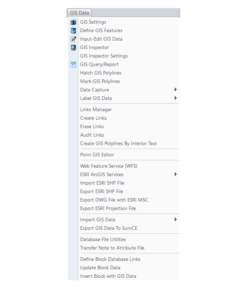 This FAQ explains where to find your Carlson Software License Agreement (EULA). Users of Carlson Software are bound by the terms of the License Agreement (EULA). 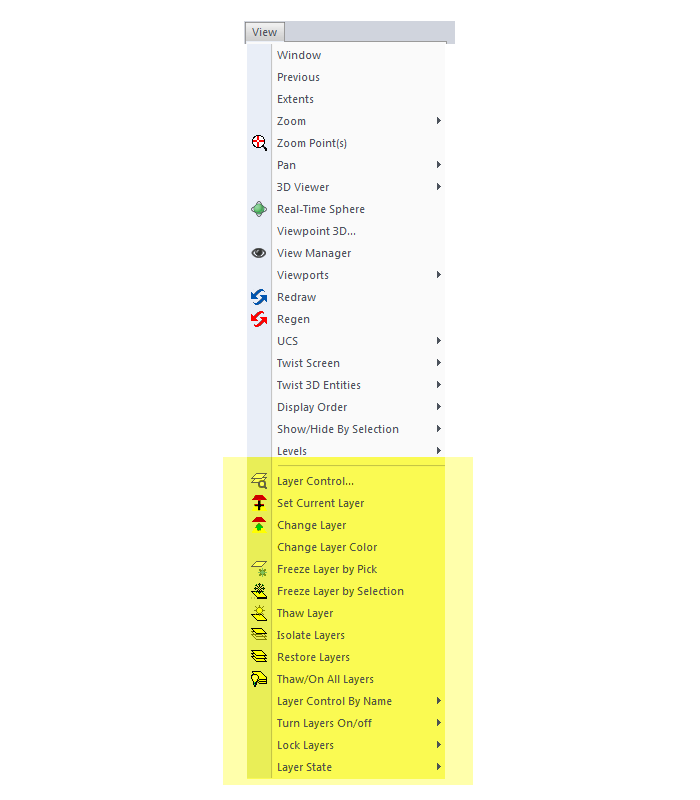 To find your license agreement go to Help > Carlson Help and Search for “License Agreement”. 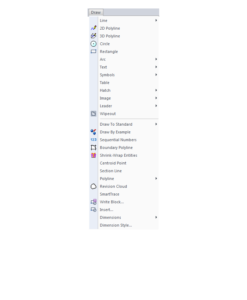 Please read the following Software License Agreement before using the SOFTWARE. Using this SOFTWARE indicates that you have accepted its terms and conditions. IMPORTANT-READ CAREFULLY: This Carlson Software End-User License Agreement (“EULA”) is a legal agreement between you (either an individual or a single entity) and Carlson Software, Inc for the software accompanying this EULA, which includes computer software and may include associated media, printed materials, and “online” or electronic documentation (“SOFTWARE PRODUCT” or “SOFTWARE”). By exercising your rights to use the SOFTWARE, you agree to be bound by the terms of this EULA. 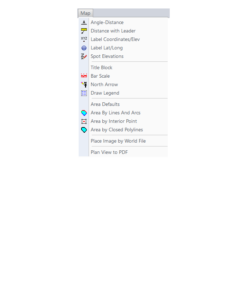 If you do not agree to the terms and conditions of this EULA, you may not use the SOFTWARE. IF YOU DO NOT AGREE TO THE TERMS AND CONDITIONS OF THIS EULA, DO NOT INSTALL OR USE ANY PART OF THE SOFTWARE. End User desires to obtain the benefits thereof and, in return for which, is willing to abide by the obligations and fee agreements applicable to LICENSOR’s use licenses in LICENSOR’s proprietary computer programs. 1. 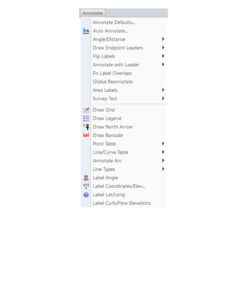 License Grant: Subject to the terms, conditions and limitations of this EULA, LICENSOR hereby grants End User a personal, limited, non-exclusive, non-transferable, license to utilize the Software Product you have purchased. The license granted in this EULA creates no license, express or implied, to any other intellectual property of Licensor, except for the specific Software Product which they have lawfully purchased from LICENSOR. This EULA grants you the following rights: You may install and use one copy of the SOFTWARE PRODUCT, or any prior version for the same operating system, on a single computer. 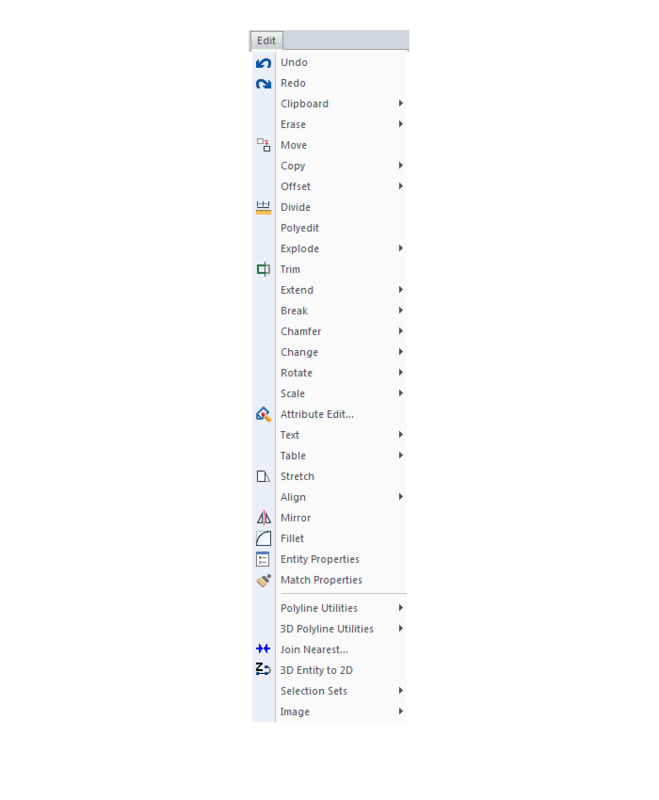 The primary user of the computer on which the SOFTWARE PRODUCT is installed may make a second copy for his or her exclusive use on a portable computer. 2. Exclusive Source. End User shall obtain all LICENSOR authorized product materials through LICENSOR or LICENSOR’S authorized representative and no other source. 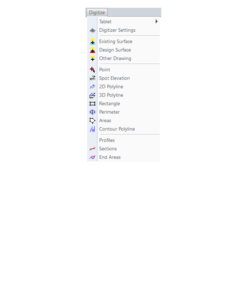 LICENSOR authorized product materials include, but are not limited to, manuals, license agreements and media upon which LICENSOR’s proprietary computer programs are recorded. 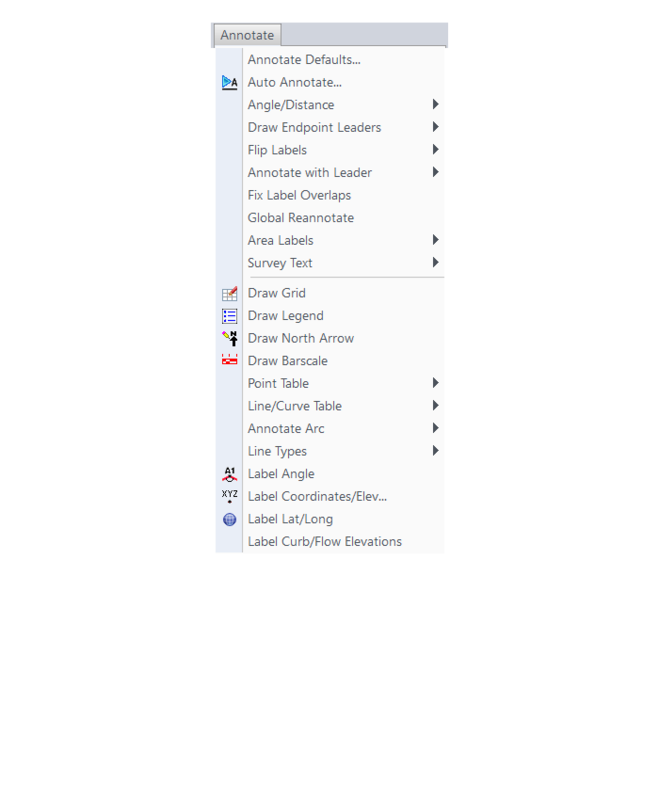 End User shall make no copies of any kind of any of the materials furnished by LICENSOR or LICENSOR’s authorized representative, except as specifically authorized to do so in this EULA. End User is not entitled to make archival copies of those portions of LICENSOR’s product(s) that are provided on a machine readable media. 3. Proprietary Rights of Licensor. End User agrees that LICENSOR retains exclusive ownership of the trademarks and service marks represented by its company name and logo and all of the documentation and computer recorded data related thereto. End User also agrees that all techniques, algorithms, and processes contained in LICENSOR’s computer program products or any modification or extraction thereof constitute TRADE SECRETS OF LICENSOR and will be safeguarded by End User, but in no event shall End User exercise less than due diligence and care in accordance with the laws of the country of purchase and International Law, whichever operates to best protect the interests of LICENSOR. End User shall not copy, reproduce, re-manufacture or in any way duplicate all or any part of LICENSOR products WHETHER MODIFIED OR TRANSLATED INTO ANOTHER LANGUAGE OR NOT, or in any documentation, or in any other material provided by LICENSOR in association with LICENSOR’s computer program products regardless of what manner of storage and retrieval the product exists, except as specified in this Agreement and in accordance with the terms and conditions of this Agreement which remain in force. 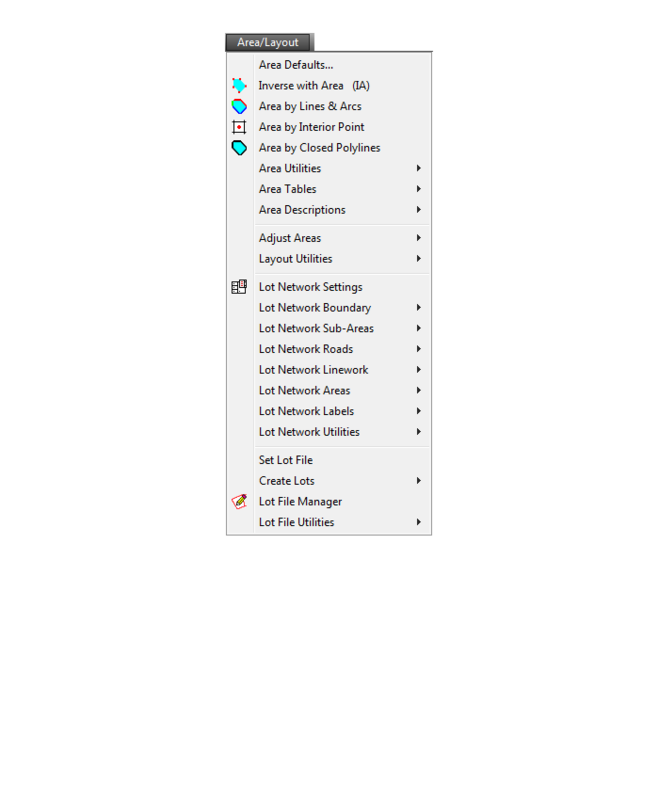 End User agrees that in the event End User breaches this EULA, End User will be liable for damages as may be determined by a court of competent jurisdiction. 4. Restrictions. End User’s rights and obligations under this EULA are nonexclusive and personal in nature, and the intellectual property Licensor grants to End User is subject to applicable law other than bankruptcy law. End User may not transfer or assign the SOFTWARE, rights under this EULA or accompanying user documentation, or any updates of the SOFTWARE which may be provided under this EULA, to a third party unless End User receives written consent from Licensor at least 30 days prior to the completion of transfer. Licensor reserves the right to deny transfer or assignment if, in its sole discretion, Licensor determines the transfer not to be a necessity. Whether or not a transfer or assignment is allowed shall be determined in Licensor’s sole discretion after taking into consideration certain factors to find the existence of a necessity including, but not limited to, merger or acquisition of an entity, complete asset acquisition, change of control, severe economic hardship, severe loss of human resources or significant loss in business divisions, or winding down of entity affairs. 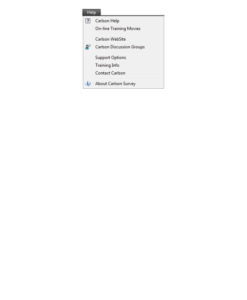 If Carlson consents to a transfer, such transfer shall be allowed only as a one-time permanent transfer of this EULA and Software to another end user, provided the initial End User retains no copies or previous versions of the Software. The transfer must include all of the Software, including all component parts, any media and printed materials, any upgrades, this EULA, and any associated license key. The transfer may not be an indirect transfer, such as a consignment, rental or lease. No corresponding Maintenance Agreement rights shall transfer with the SOFTWARE transfer to the subsequent end user. Prior to the transfer, the subsequent end user receiving the Software from the initial End User must agree to all terms of this EULA, with the added condition that no further transfers to third parties are permitted for any reason whatsoever, and shall agree to the terms and conditions of a new Maintenance Agreement with Licensor. 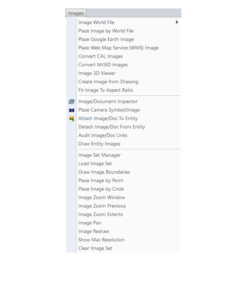 You may not reverse engineer, decompile, or disassemble the SOFTWARE or alter the images utilized in the SOFTWARE and user documentation. The SOFTWARE PRODUCT is licensed as a single product. Its component parts may not be separated for use on more than one computer. You shall communicate to any individual user in your facility that they are bound by the restrictions of this license agreement may not copy or alter the SOFTWARE for use outside End User’s facilities. Upgrades. If you purchase an upgrade of a SOFTWARE PRODUCT and you use it on different machine from one where upgraded SOFTWARE PRODUCT was used, use of original SOFTWARE PRODUCT must be discontinued and confirmed within 30 days. If such use is not discontinued, it is a material breach of this EULA and LICENSOR shall be entitled to all remedies available to it under this EULA, and under the laws of Kentucky, USA. 5. Security Mechanisms. 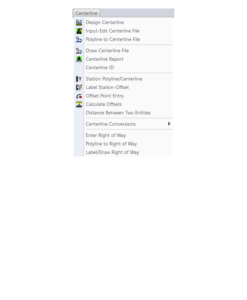 Licensor and its affiliated companies take all legal steps to eliminate piracy of their software products. 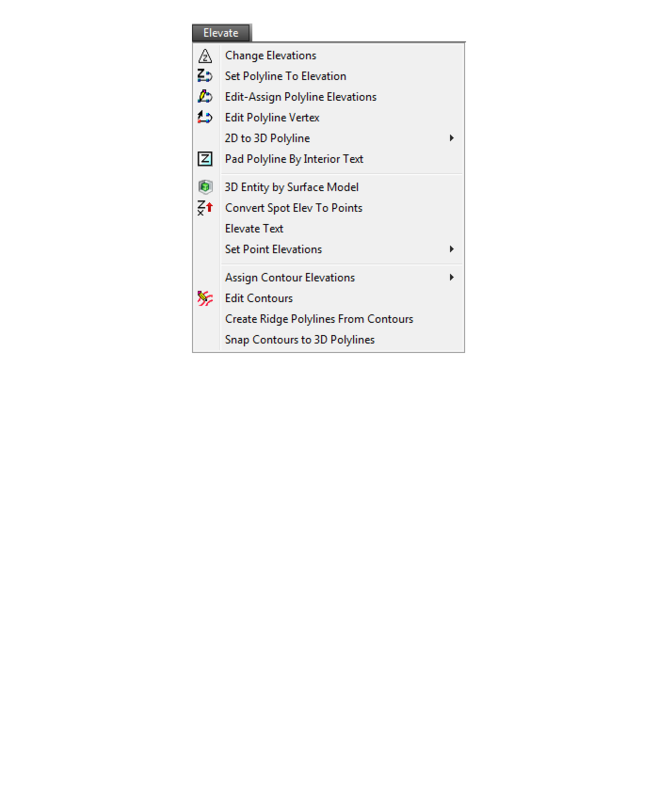 In this context, the Software Product may include a security mechanism that can detect the installation or use of illegal copies of the Software Product, and collect and transmit data about those illegal copies. 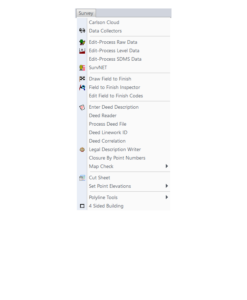 Data collected will not include any customer data created with the Software. By using the Software Product, you consent to such detection and collection of data, as well as its transmission and use if an illegal copy is detected. Licensor also reserves the right to use a hardware lock device, license administration software, and/or a license authorization key to control access to the Software. You may not take any steps to avoid or defeat the purpose of any such measures. Use of any Software without any required lock device or authorization key provided by Licensor is prohibited. 6. Audit Rights. End User agrees that LICENSOR has the right to require an audit (electronic or otherwise) of the LICENSOR Materials and the Installation thereof and access thereto. As part of any such audit, LICENSOR or its authorized representative will have the right, on fifteen (15) days’ prior notice to End User, to inspect End User’s records, systems and facilities, including machine IDs, serial numbers and related information, to verify that the use of any and all LICENSOR Materials is in conformance with this Agreement. End User will provide full cooperation to enable any such audit. If LICENSOR determines that End User’s use is not in conformity with this EULA, End User will obtain immediately and pay for a valid license to bring End User’s use into compliance with this EULA and other applicable terms and pay the reasonable costs of the audit. In addition to such payment rights, LICENSOR reserves the right to seek any other remedies available at law or in equity, whether under this Agreement or otherwise. 7. Warranty. 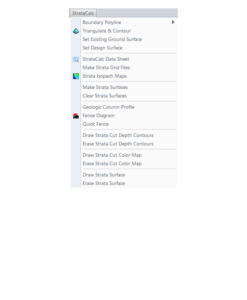 THE PRODUCT IS PROVIDED “AS IS” WITH ALL FAULTS. TO THE MAXIMUM EXTENT PERMITTED BY LAW, LICENSOR HEREBY DISCLAIMS ALL WARRANTIES, WHETHER EXPRESS OR IMPLIED, INCLUDING WITHOUT LIMITATION IMPLIED WARRANTIES OF MERCHANITIBILITY, FITNESS FOR A PARTICULAR PURPOSE, AND WARRANTIES THAT THE PRODUCT IS FREE OF DEFECTS AND NON-INFRINGING, WITH REGARD TO THE SOFTWARE, AND THE ACCOMPANYING WRITTEN MATERIALS. YOU BEAR ENTIRE RISK AS TO SELECTING THE PRODUCT FOR YOUR PURPOSES AND AS TO THE QUALITY AND PERFORMANCE OF THE PRODUCT. THIS LIMITATION WILL APPLY NOTWITHSTANDING THE FAILURE OF ESSENTIAL PURPOSE OF ANY REMEDY. In any event, LICENSOR will not honor any warranty shown to exist for which inaccurate or incorrect identifying data has been provided to LICENSOR. The product(s) provided are intended for commercial use only and should not be utilized as the sole data source in clinical decisions as to levels of care. 8. LIMITATION OF LIABILITY. EXCEPT AS REQUIRED BY LAW, LICENSOR AND ITS DISTRIBUTORS, DIRECTORS, LICENSORS, CONTRIBUTORS AND AGENTS (COLLECTIVELY, THE “LICENSOR GROUP”) WILL NOT BE LIABLE FOR ANY INDIRECT, SPECIAL, INCIDENTAL, CONSEQUENTIAL OR EXEMPLARY DAMAGES ARISING OUT OF OR IN ANY WAY RELATING TO THIS EULA OR THE USE OF OR INABILITY TO USE THE PRODUCT, INCLUDING WITHOUT LIMITATION DAMAGES FOR LOSS OF GOODWILL, WORK STOPPAGE, LOST PROFITS, LOSS OF DATA, AND COMPUTER FAILURE OR MALFUNCTION, EVEN IF ADVISED OF THE POSSIBILITY OF SUCH DAMAGES AND REGARDLESS OF THE THEORY (CONTRACT, TORT OR OTHERWISE) UPON WHICH SUCH CLAIM IS BASED. THE LICENSOR GROUP’S COLLECTIVE LIABILITY UNDER THIS AGREEMENT WILL NOT EXCEED THE GREATER OF $500 (FIVE HUNDRED DOLLARS) AND THE FEES PAID BY YOU UNDER THIS LICENSE (IF ANY). 9. Update Policy. LICENSOR may, from time to time, revise the performance of its product(s) and in doing so, incur NO obligation to furnish such revisions to any End User nor shall it warrant or guarantee that any revision to the SOFTWARE will perform as expected by the End User on End User’s equipment. At LICENSOR’s option, LICENSOR may provide such revisions to the End User. 10. Customer Service. Although it is the LICENSOR’s customary practice to provide reasonable assistance and support in the use of its products to its customers, LICENSOR shall not be obligated to any End User to provide technical assistance or support through this Agreement and may at LICENSOR’s sole election charge a fee for customer support. 11. 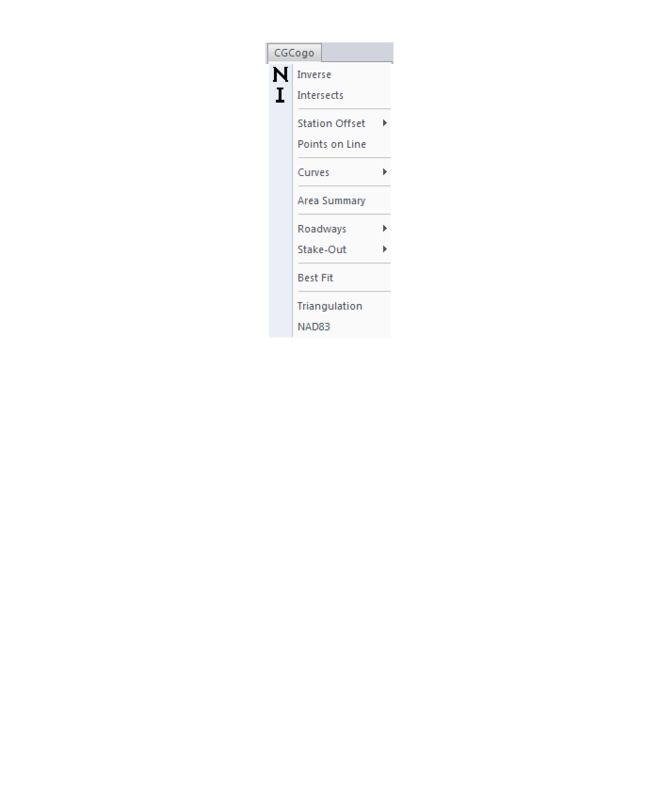 Termination of End User License. If any one or more of the provisions of this Agreement is breached, the license granted by this Agreement is hereby terminated. In the event of such termination, all rights of the LICENSOR shall remain in force and effect. Any protected health information data of End User maintained on LICENSOR’S data base shall upon reasonable notice to End User and at the discretion of LICENSOR may be destroyed. 12. Copyright. The SOFTWARE (including, but not limited to, any images, photographs, animations, video, audio, music and or text incorporated into the SOFTWARE), and all intellectual property rights associated with it, whether exists in a tangible media or in an electronic image media is owned by LICENSOR and is protected by United States copyright laws and international treaty provisions and all other commonwealth or national laws. LICENSOR reserves all intellectual property rights in the Products, except for the rights expressly granted in this Agreement. You may not remove or alter any trademark, logo, copyright or other proprietary notice in or on the Product. This license does not grant you any right to use the trademarks, service marks or logos of LICENSOR or its licensors. 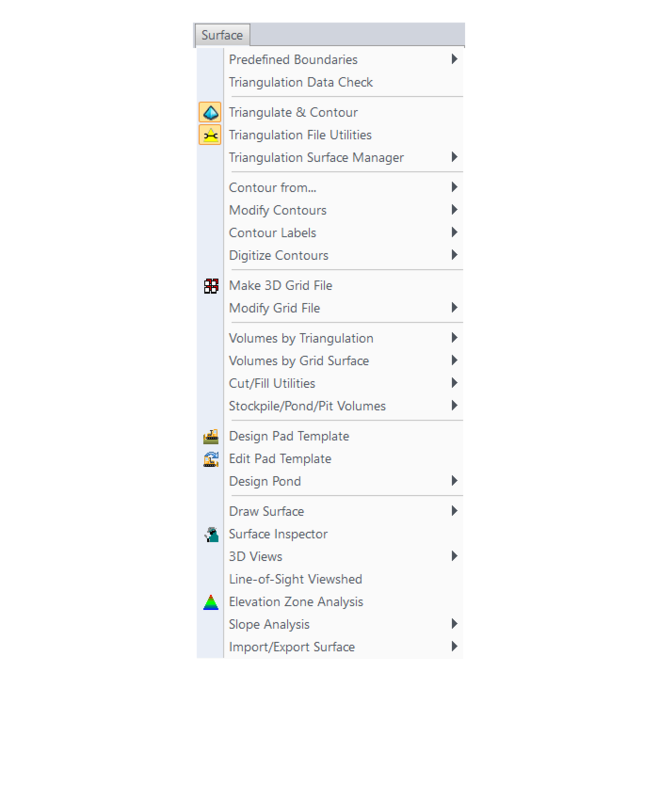 You may not copy any user documentation accompanying the SOFTWARE. 13. Injunctive Relief. It is understood and agreed that, notwithstanding any other provision of this Agreement, LICENSOR has the unequivocal right to obtain timely injunctive relief to protect the proprietary rights of LICENSOR. 14. Entire Agreement. This EULA constitutes the entire agreement between the parties and supersedes any prior agreements. This EULA may only be changed by mutual written consent. 15. End User Agreement Acknowledgment. The End User hereby accepts all the terms and conditions of this Agreement without exception, deletion, alteration. End User acknowledges they are authorized to enter this agreement on behalf of any organization for which the license is sought. Any unauthorized use of LICENSOR products will be considered a breach of this Agreement, subject to liquidated damages and otherwise unlawful and willful infringement of LICENSOR’s trade secrets and/or proprietary products. 16. Payment and Refund Policy. 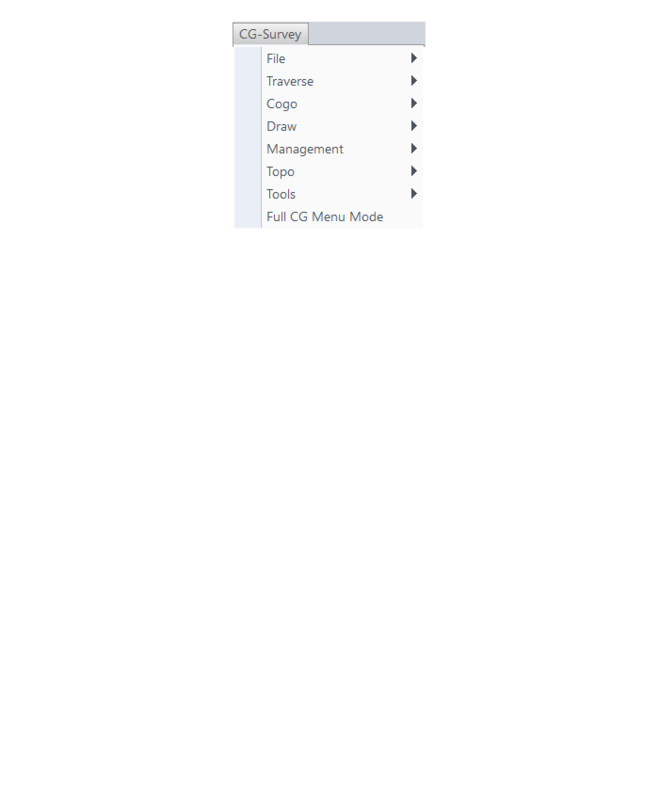 The use of the SOFTWARE herein is deemed a commercial use and under the terms of this license agreement End User shall not be entitled to any refund of purchase price. End User agrees to pay all user fees promptly. LICENSOR is authorized by End User to suspend any further access to SOFTWARE in the event fees are not fully paid. 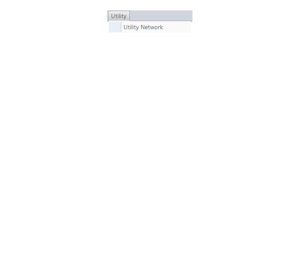 End user entity shall promptly pay any and all access and use charges incurred regardless of the end user. 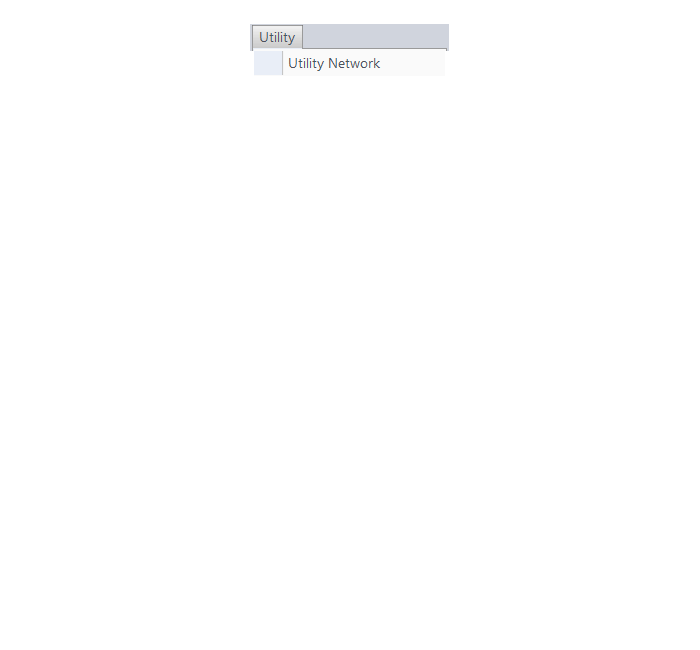 End user is responsible for protecting any pass word and user identity supplied to End User. 17. Loss/Theft/Misuse. End user shall promptly report to LICENSOR the theft or other loss of any password and/or user identity required to access SOFTWARE. LICENSOR shall not be responsible for maintaining the integrity of End User data in the event that end user’s data base is accessed and/or altered by an unauthorized end user due to the failure of licensed End User to protect its password or user identity. End User shall be responsible for any costs incurred by LICENSOR due to the negligence or reckless disregard of End User’s failure to protect its password or user identity. 18. Civil/Criminal Investigation. End user shall fully cooperate with LICENSOR and or any person authorized by LICENSOR (including local, state, or federal law enforcement officials) to investigate any alleged theft, misuse or unauthorized use of SOFTWARE or data related thereto. 19. U.S. Government Restricted Rights. The SOFTWARE PRODUCT and documentation are provided with RESTRICTED RIGHTS. Use, duplication, or disclosure by the Government is subject to restrictions as set forth in subparagraph (b)(1)(ii) and (c) of the Rights in Technical Data and Computer Software clause at DFARS 252.227-7013 or subparagraphs (c)(1) and (2) of the Commercial Computer Software-Restricted Rights at 48 CFR 52.227-19, as applicable. 20. Governing Law. This EULA shall be governed and construed in accordance with the laws of the Commonwealth of Kentucky, USA.